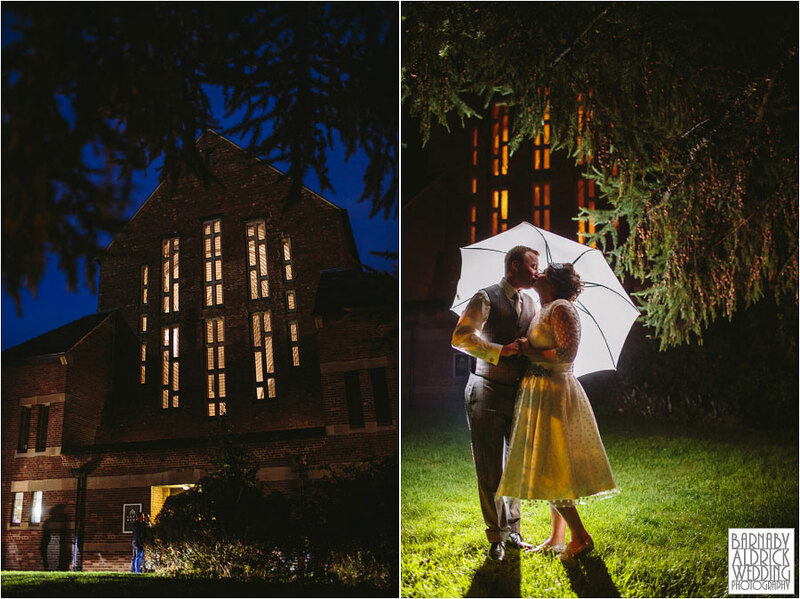 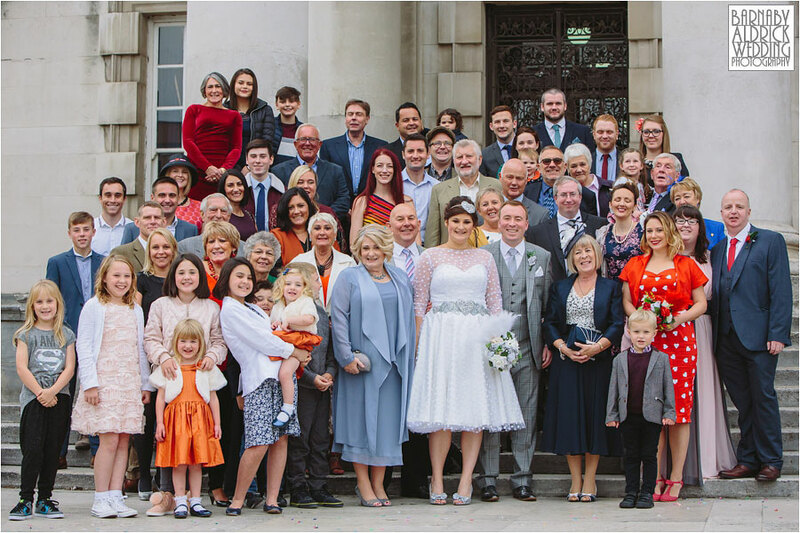 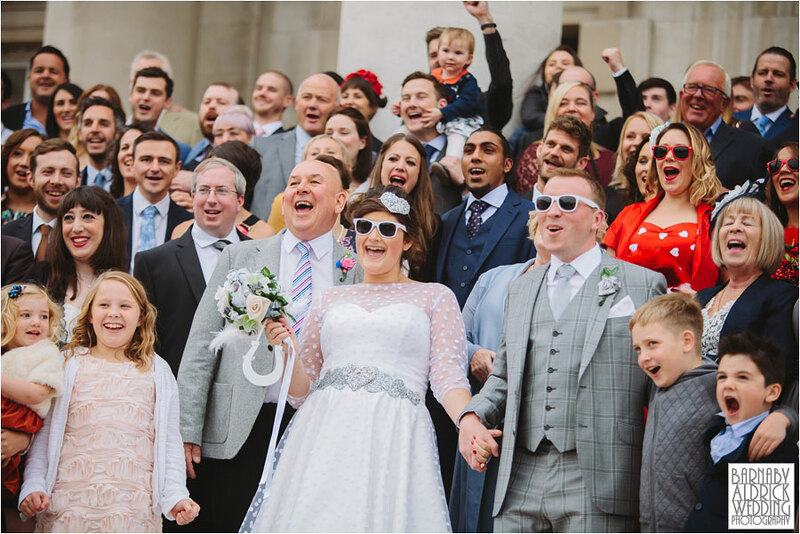 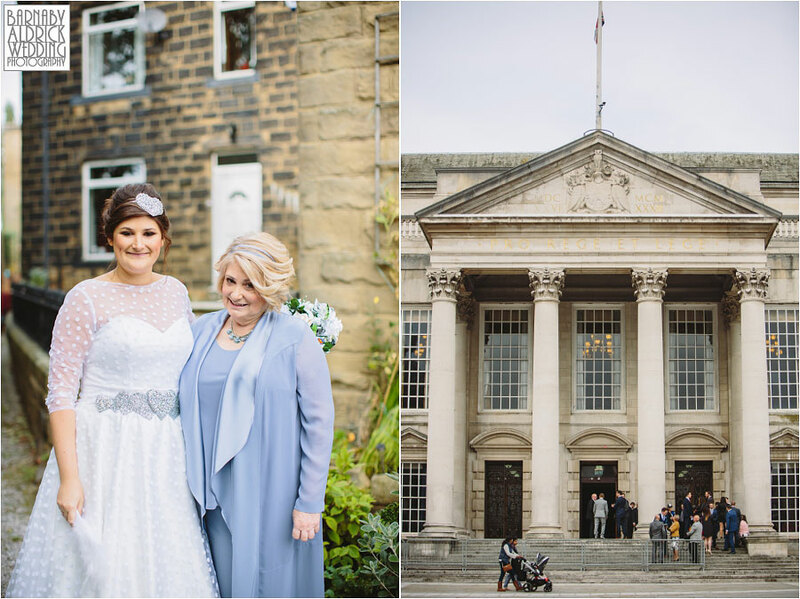 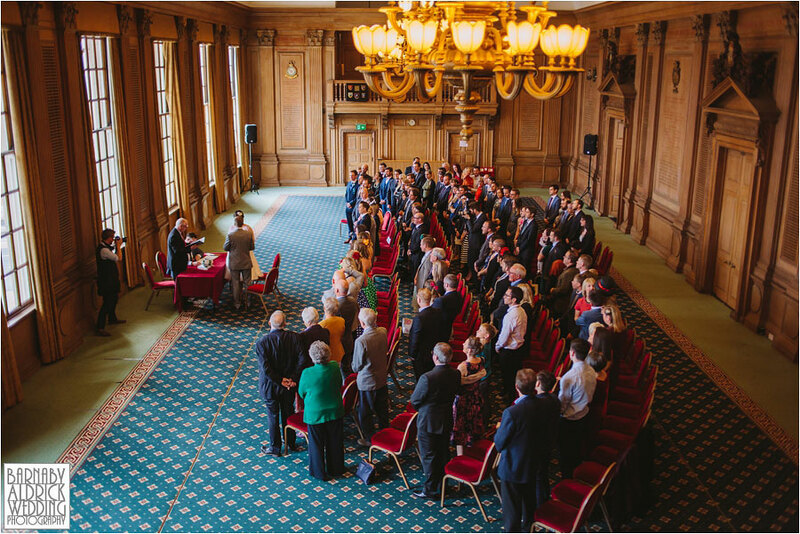 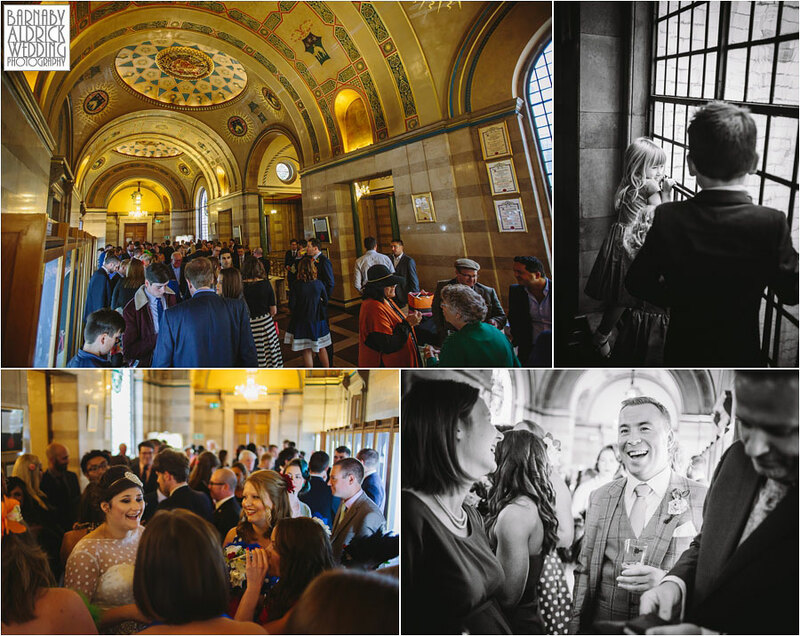 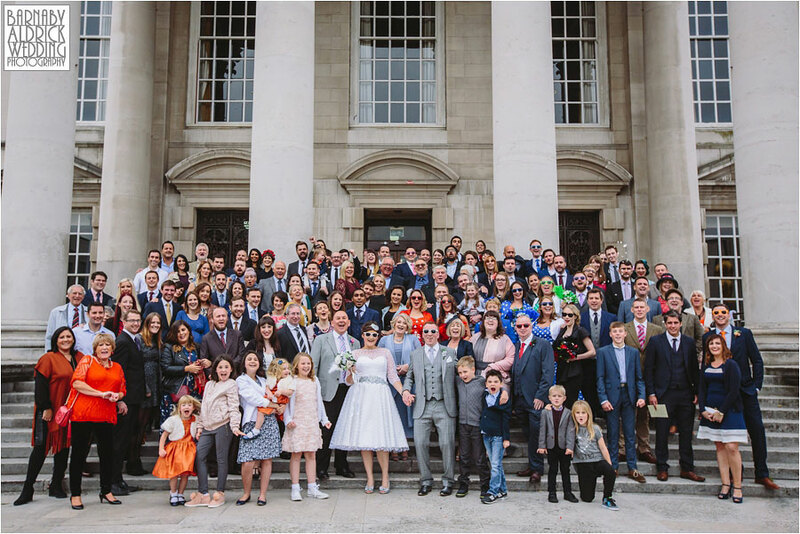 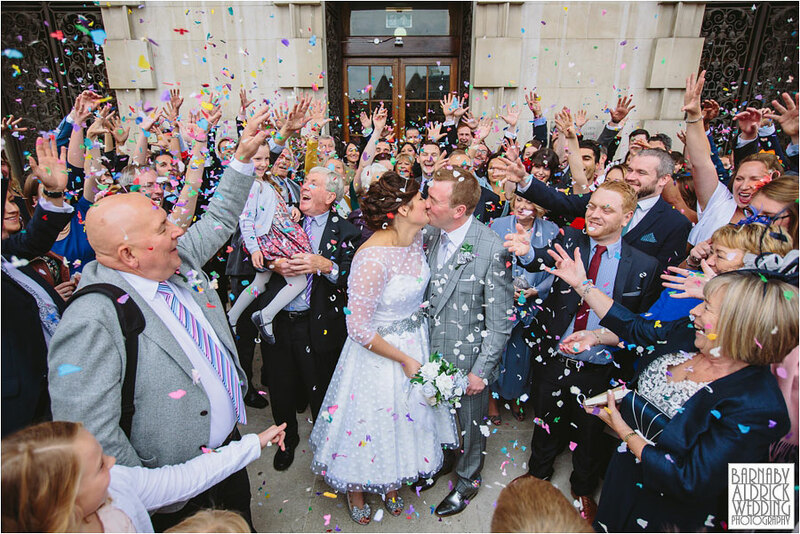 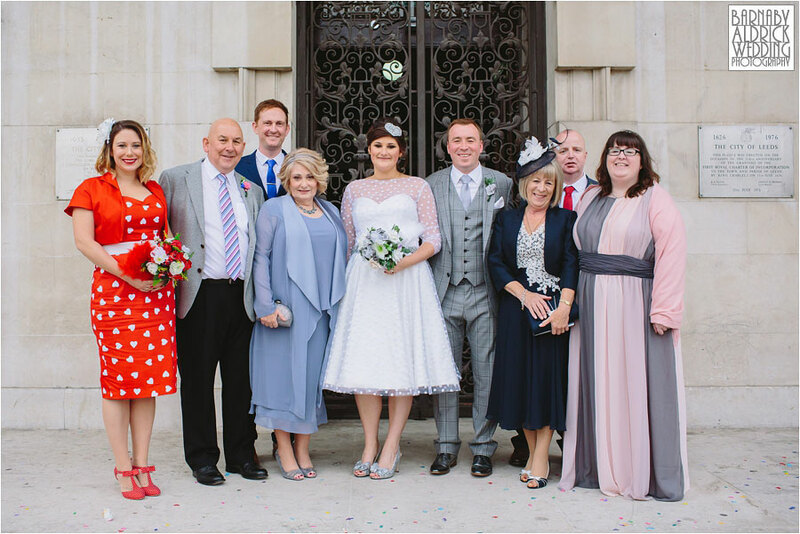 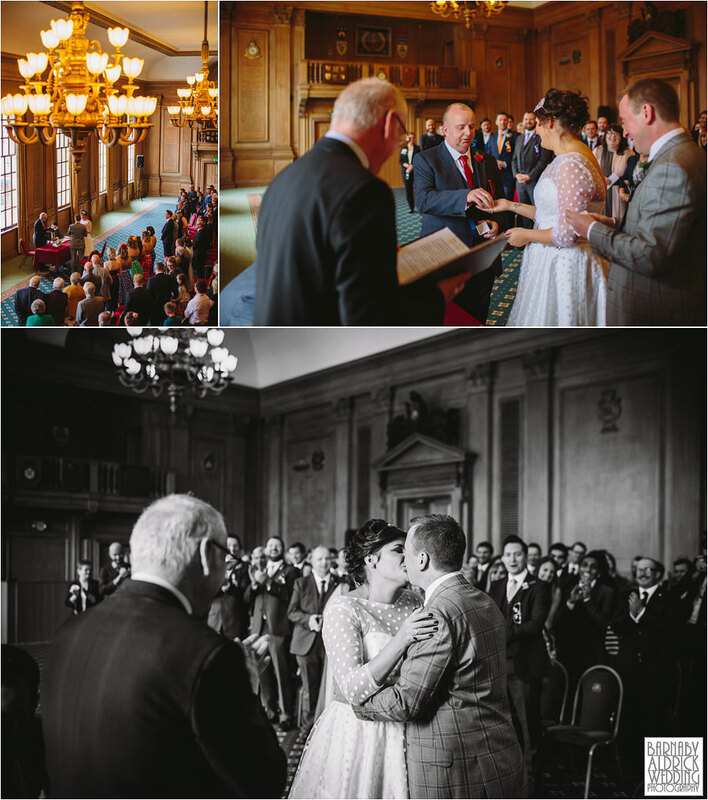 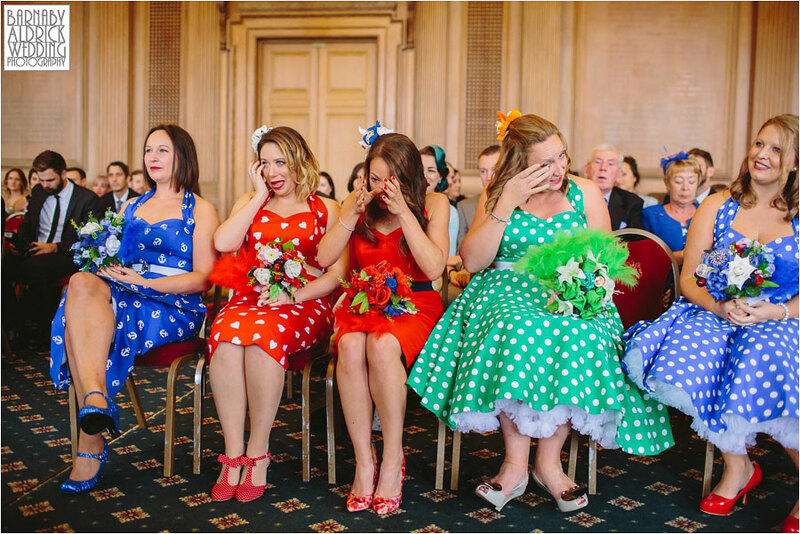 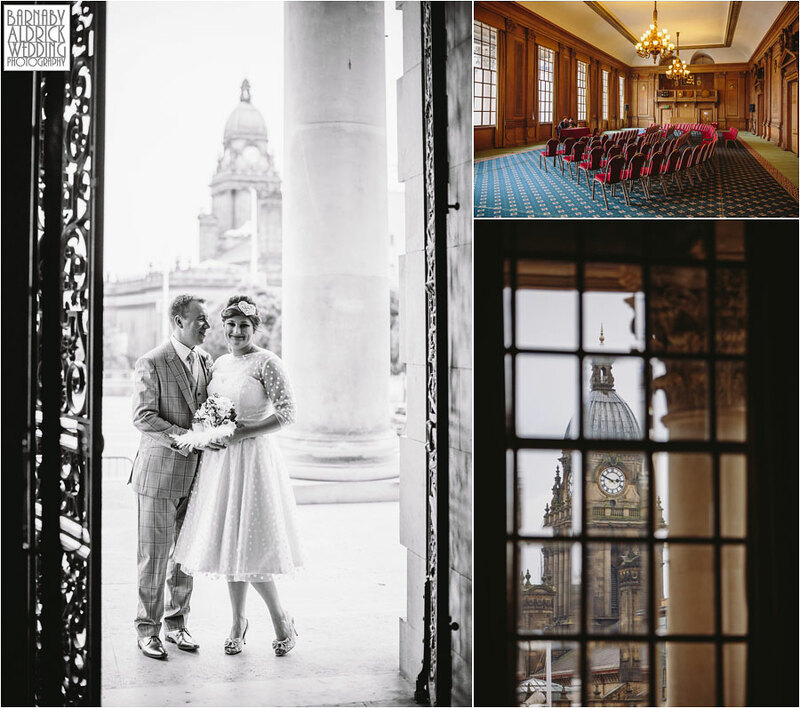 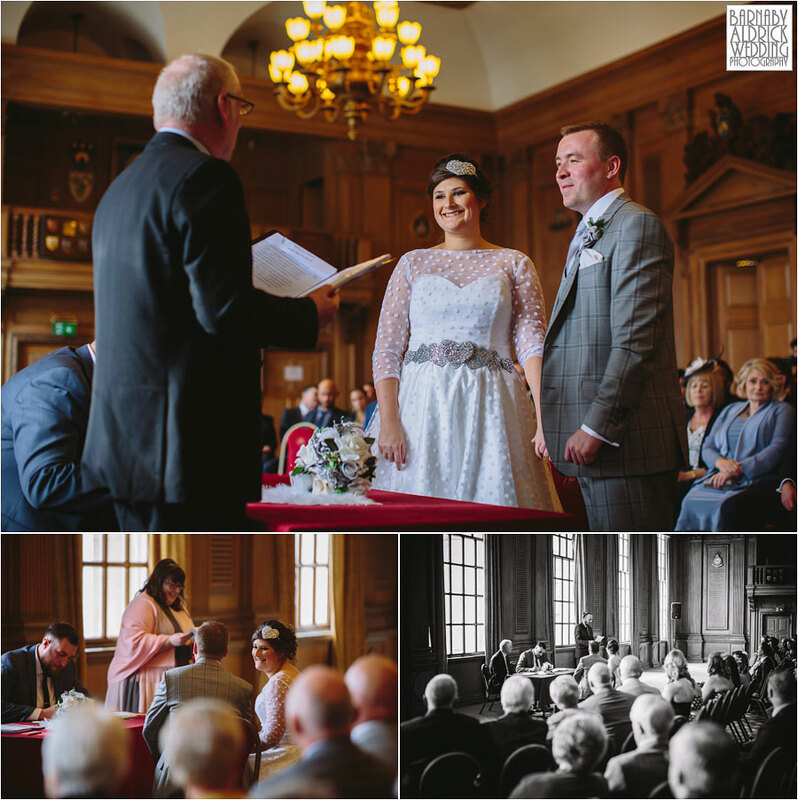 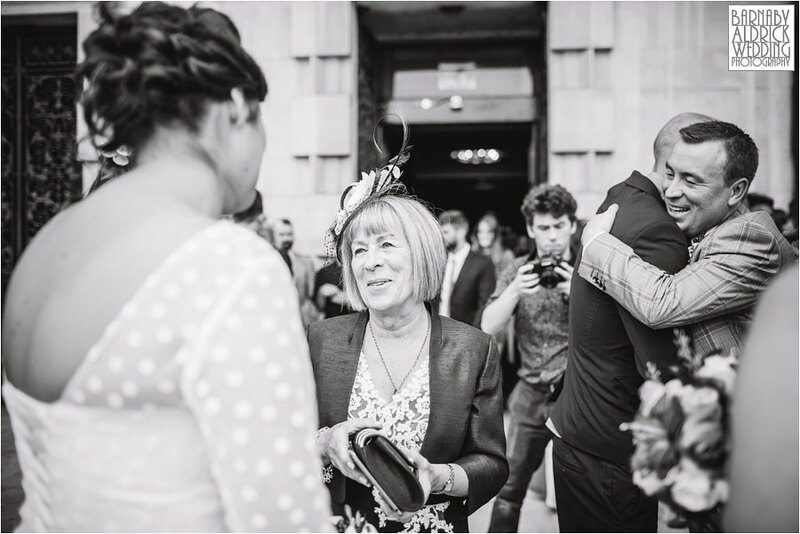 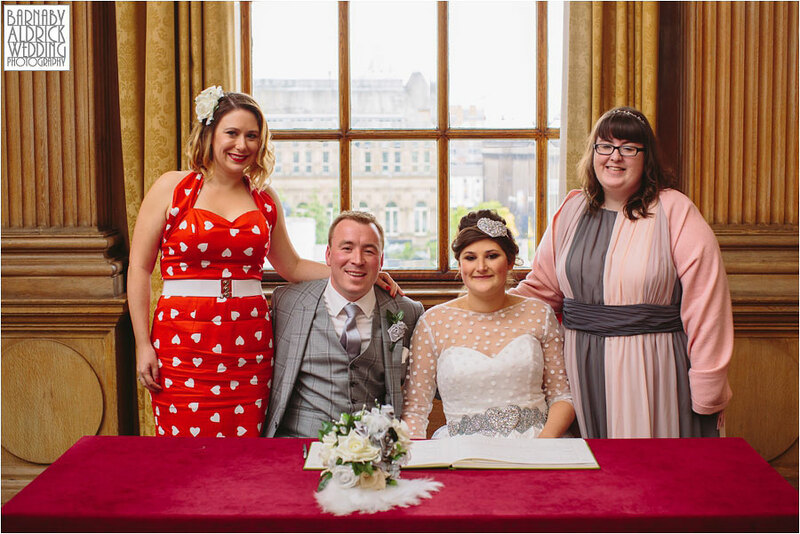 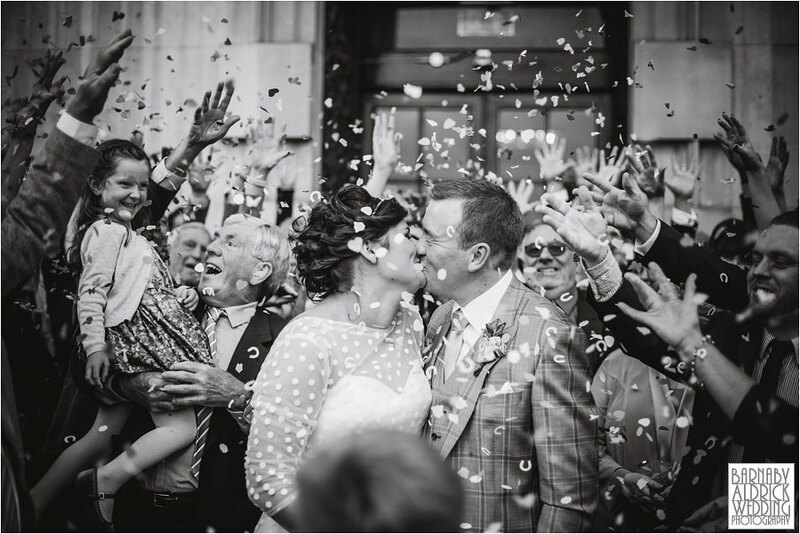 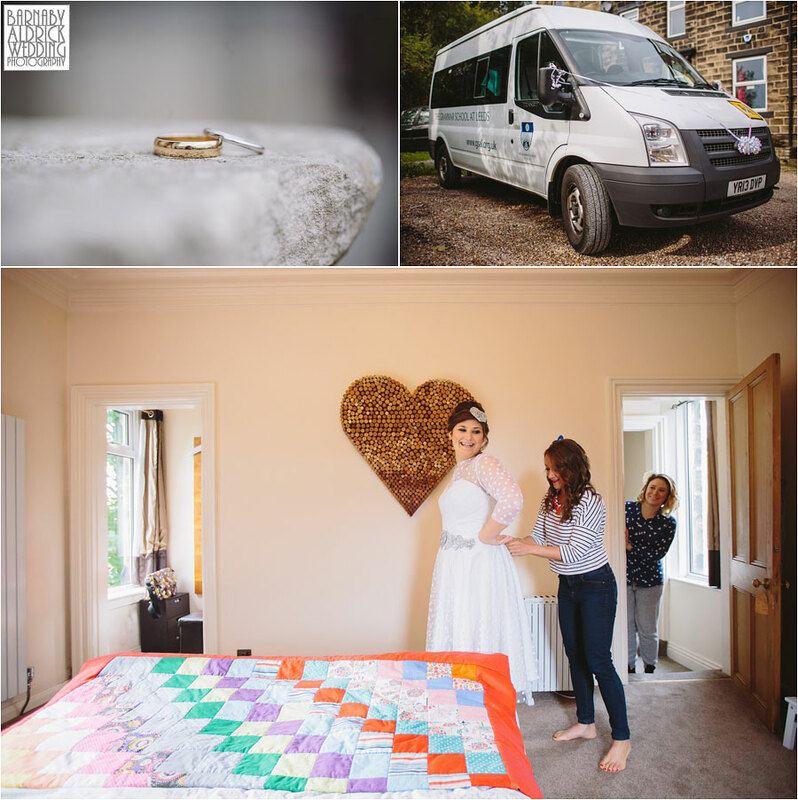 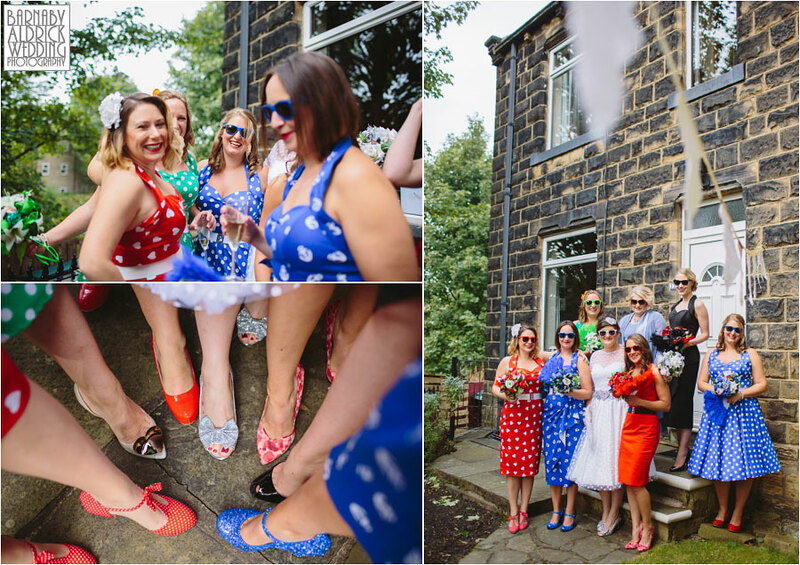 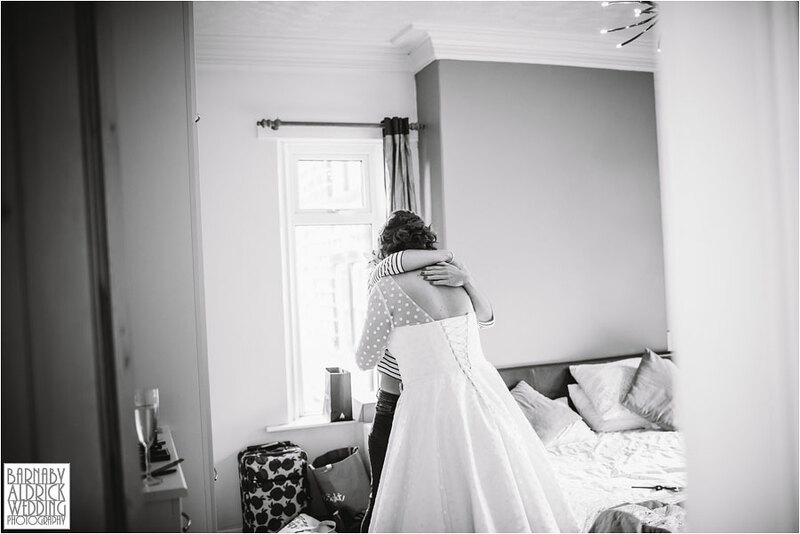 On Saturday Hamish and I joined Jen + Matt for the wedding photography at their fantastically creative and colourful wedding at Leeds Civic Hall & LeftBank in Burley Park! 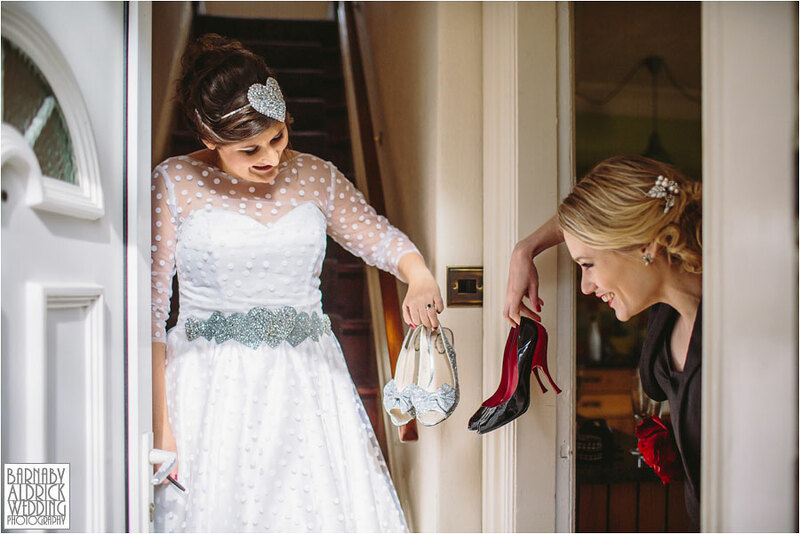 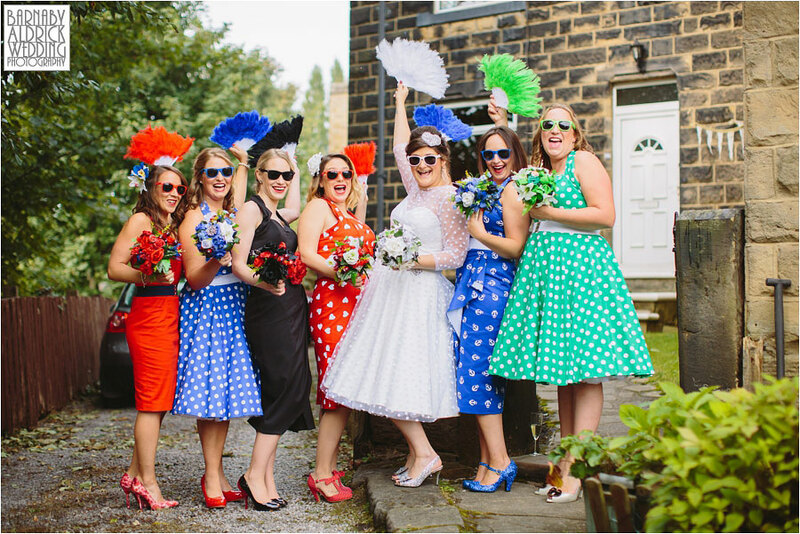 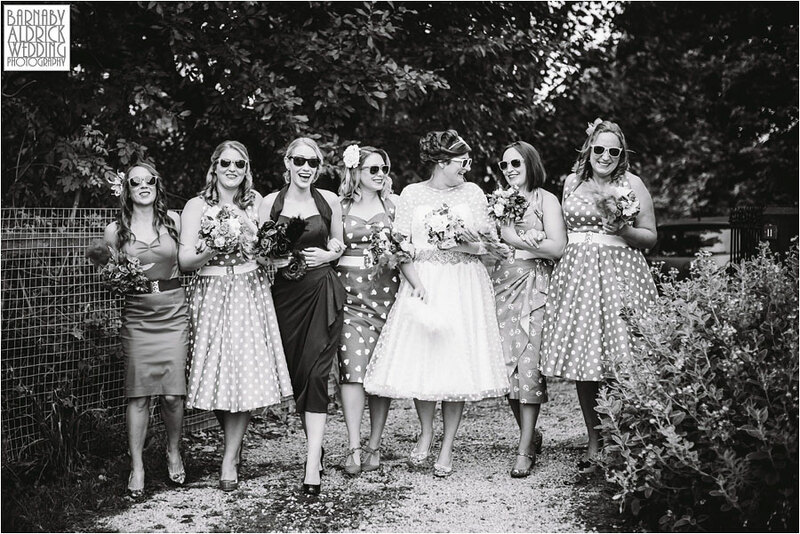 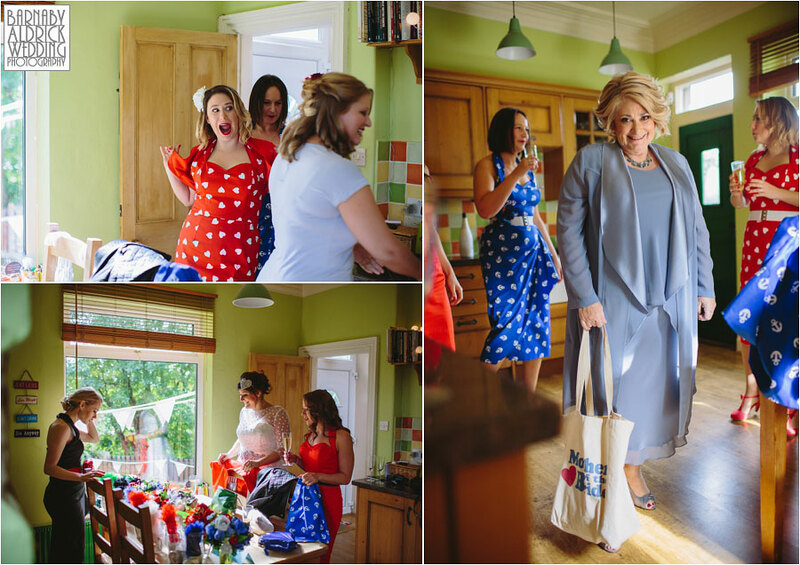 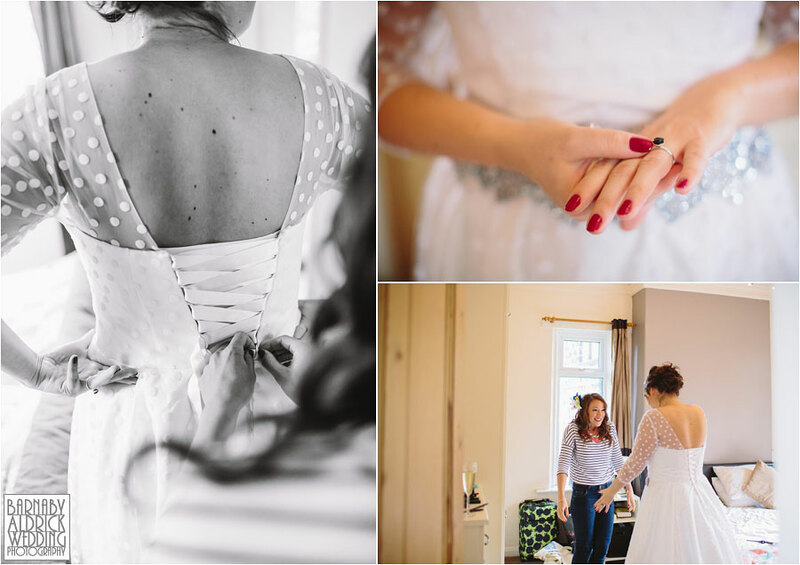 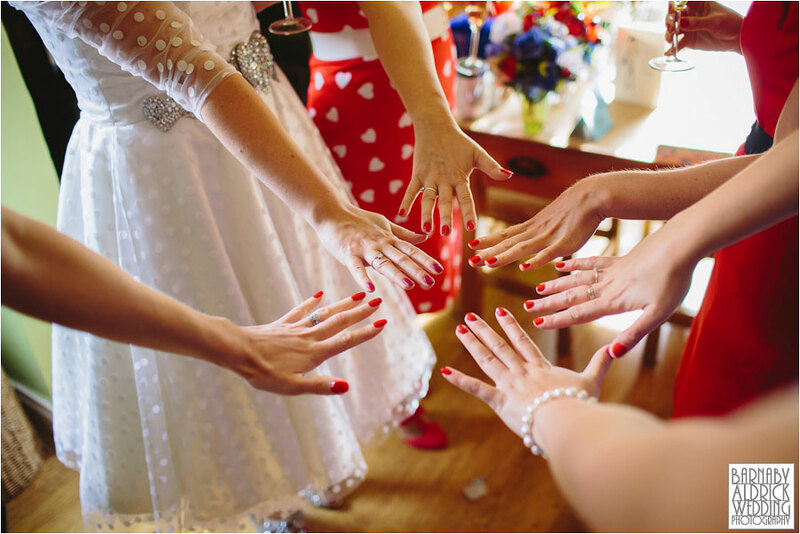 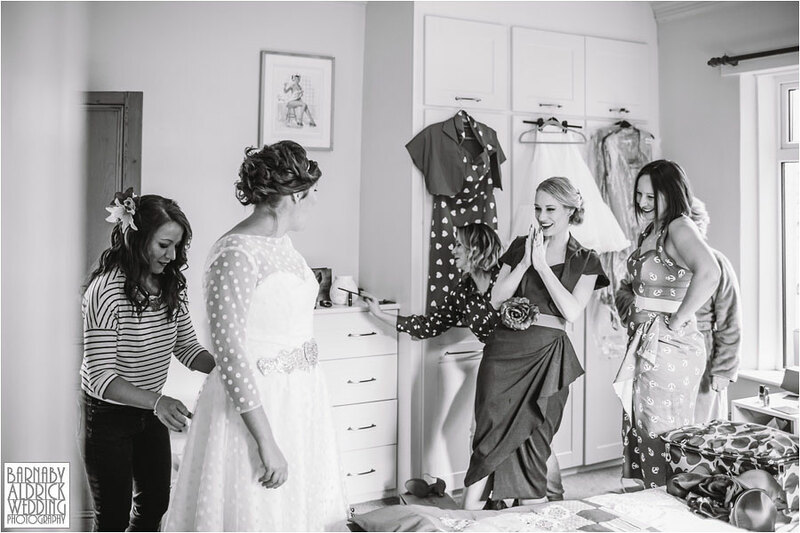 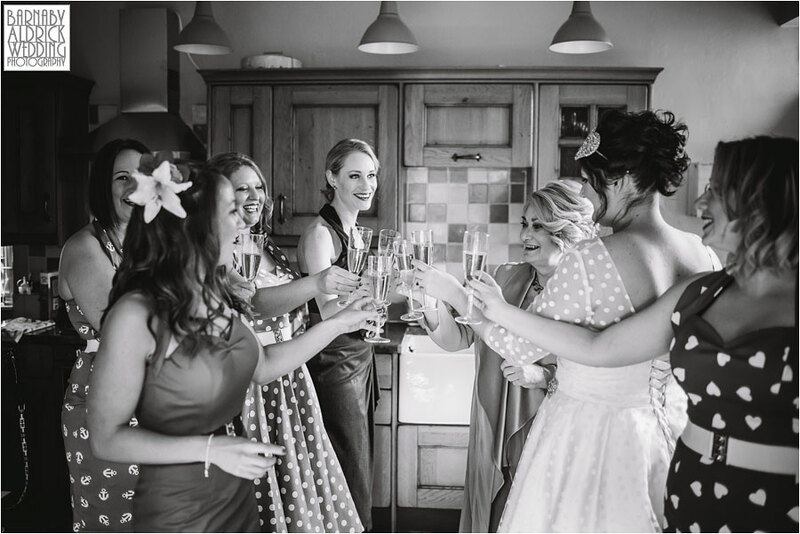 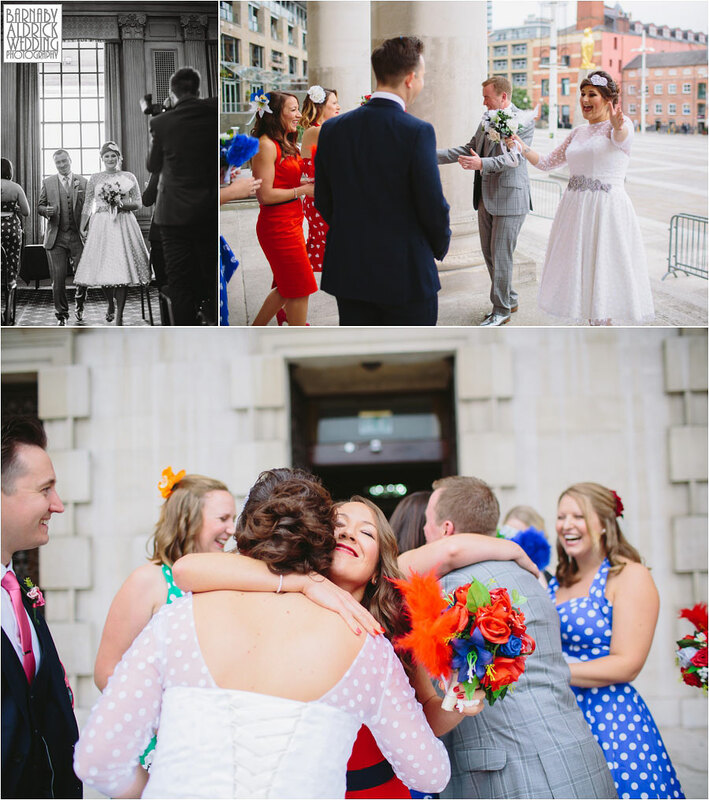 From the bouquets made by Jen, to the bridesmaid’s amazing dresses and Matt’s frankly outstanding suit, this wedding was a blast! 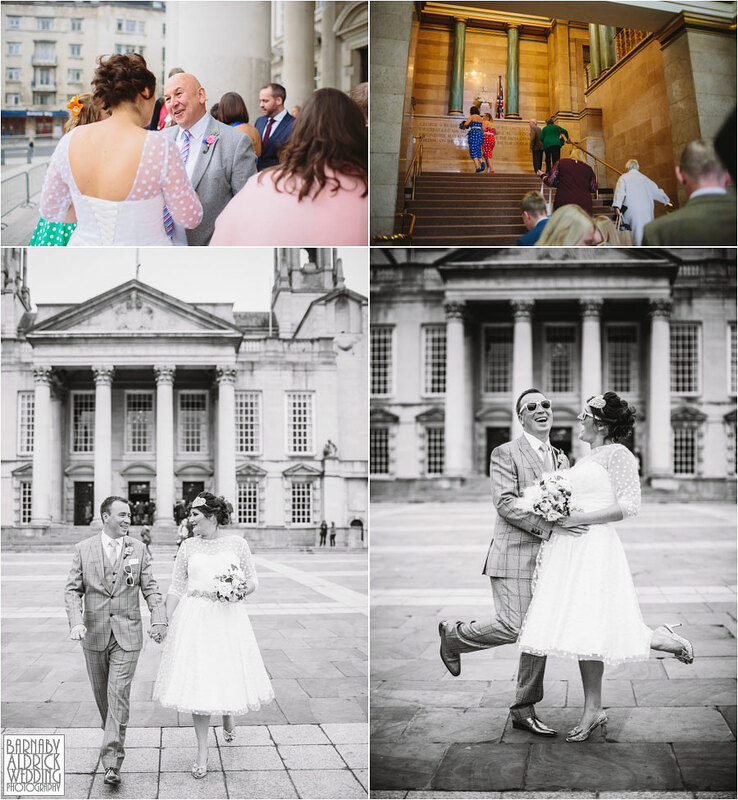 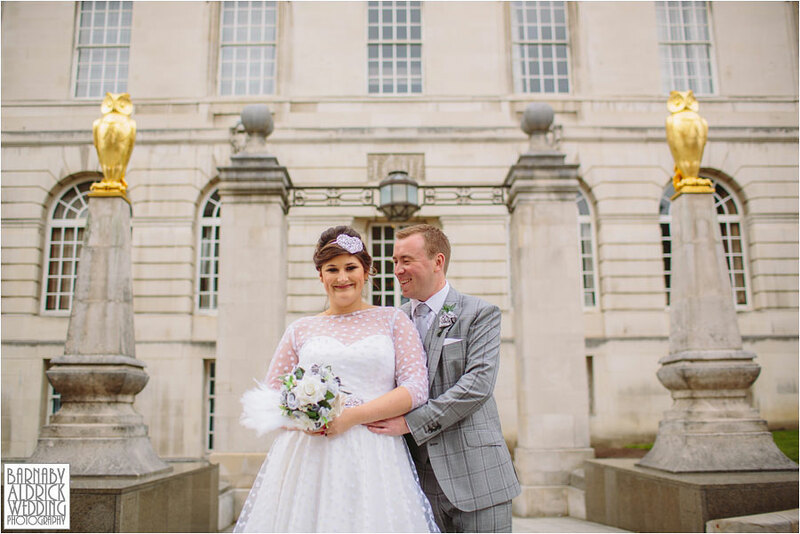 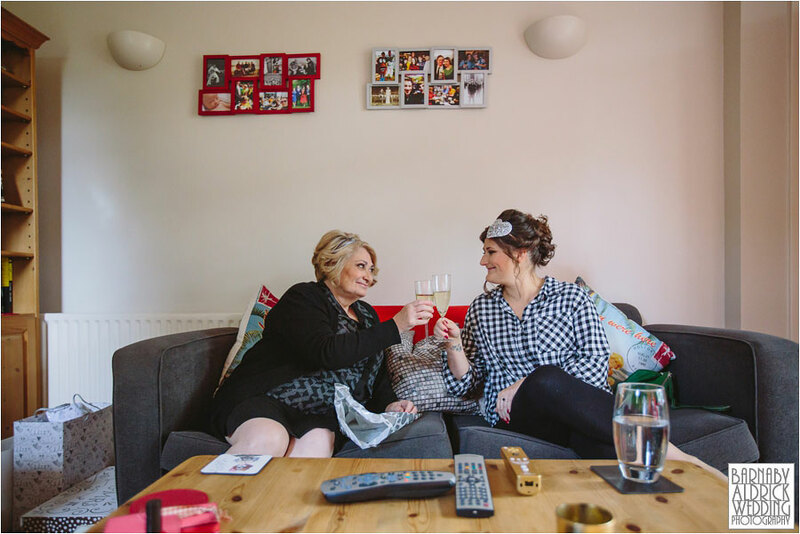 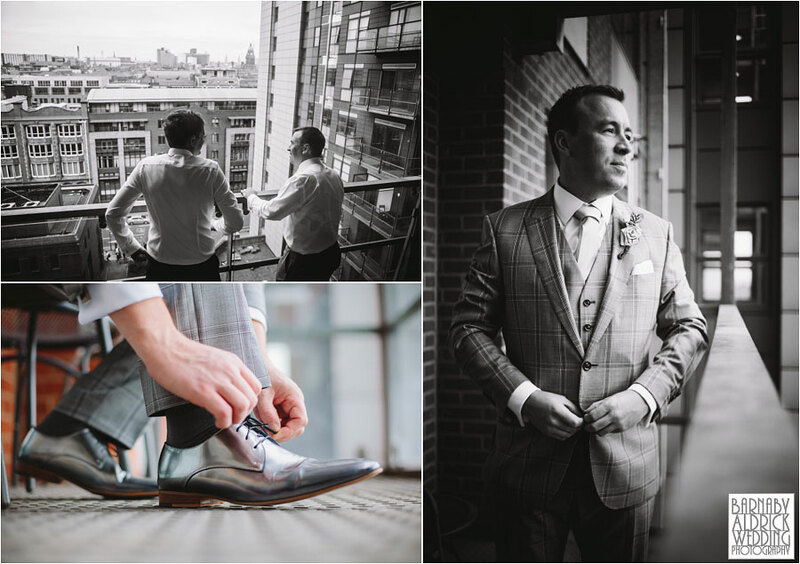 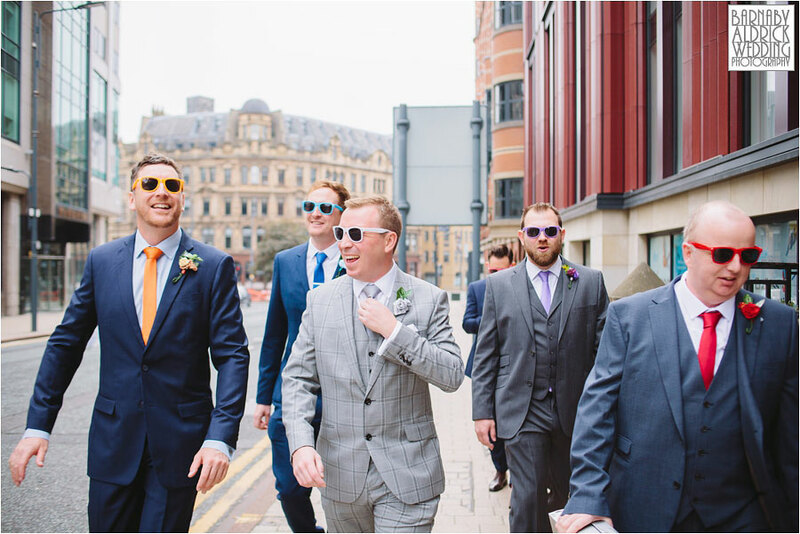 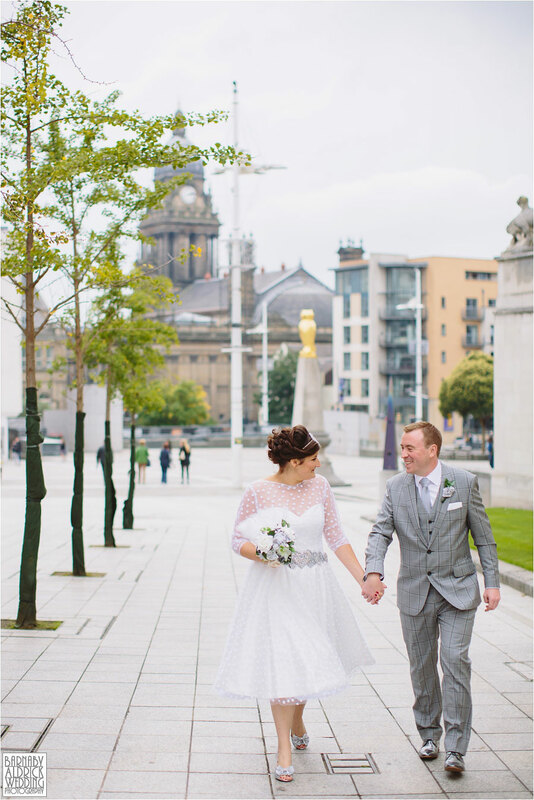 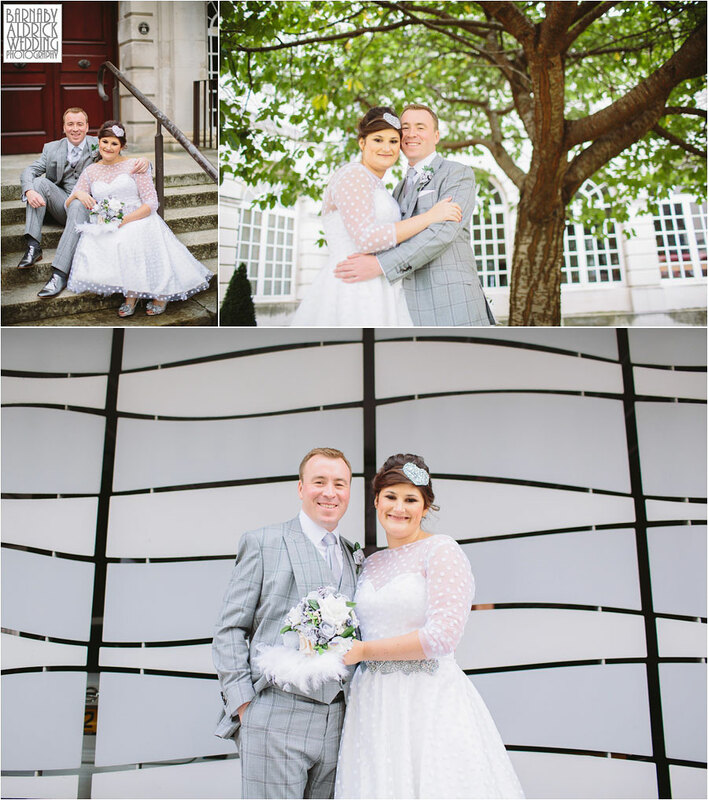 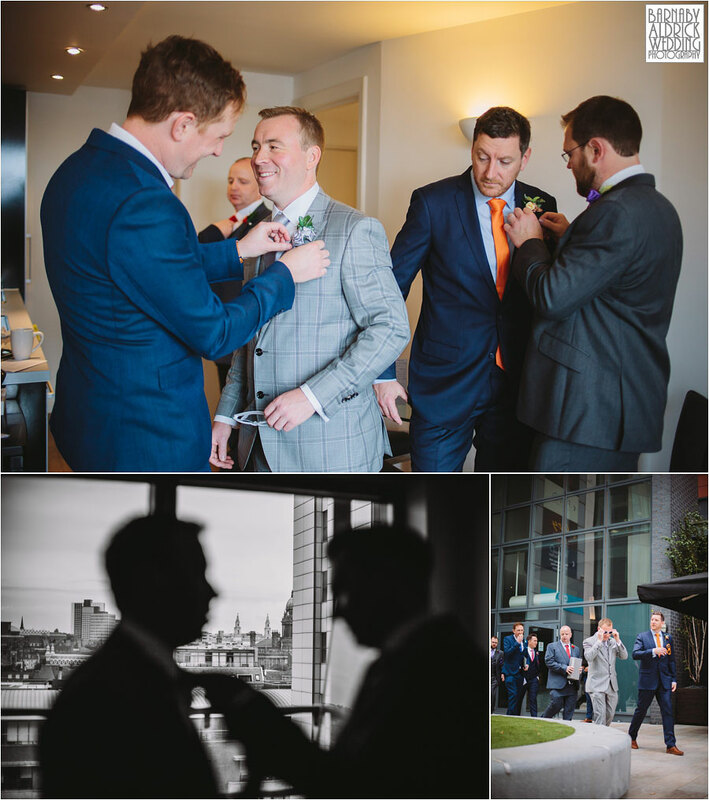 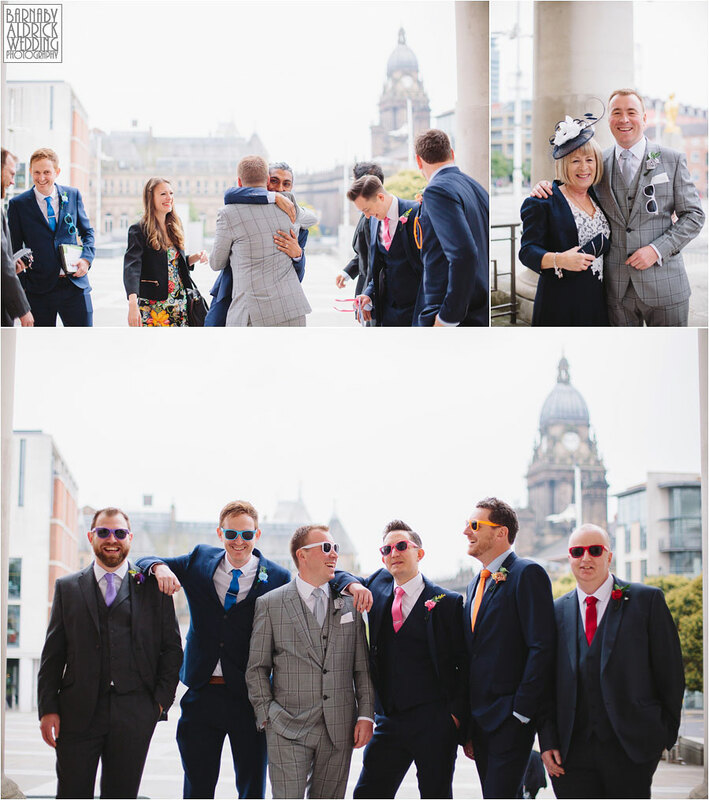 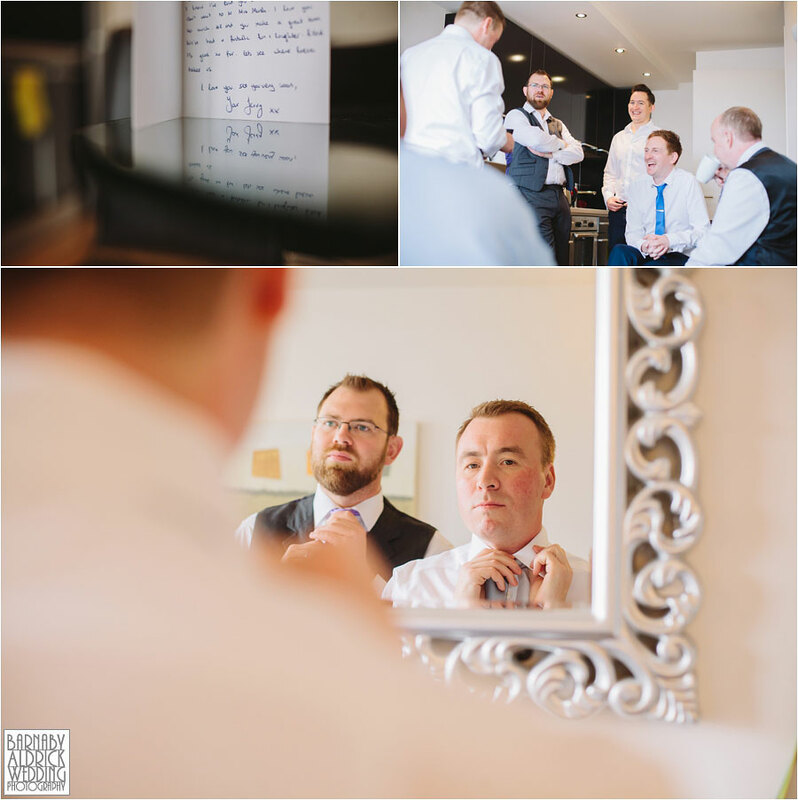 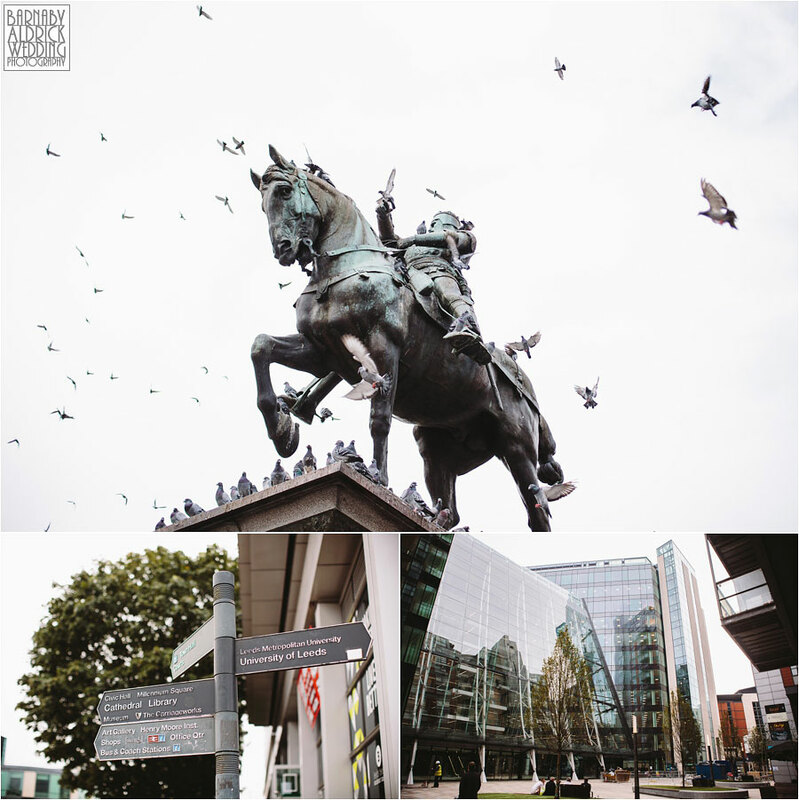 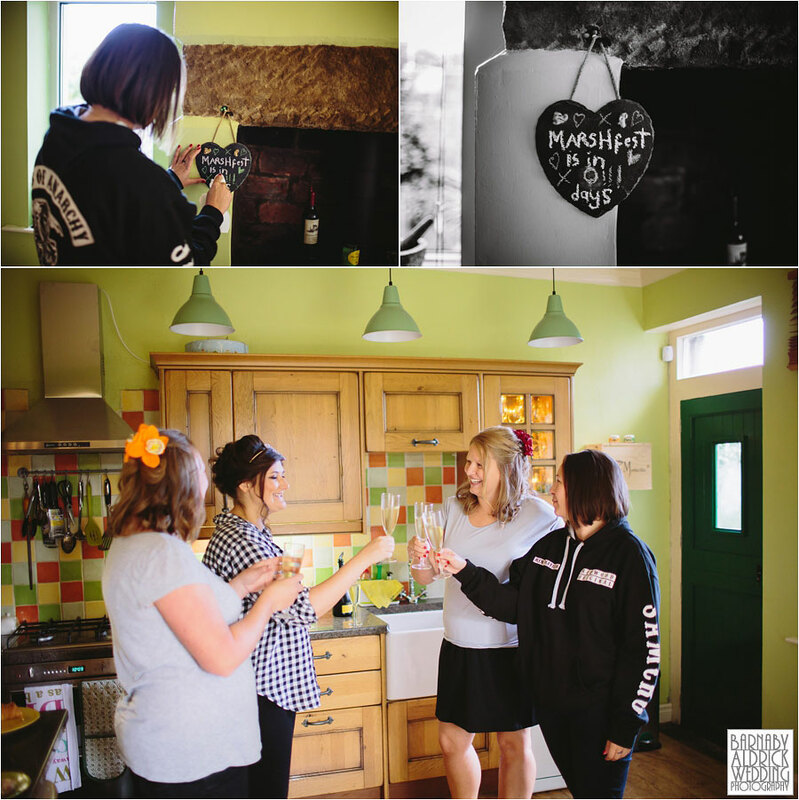 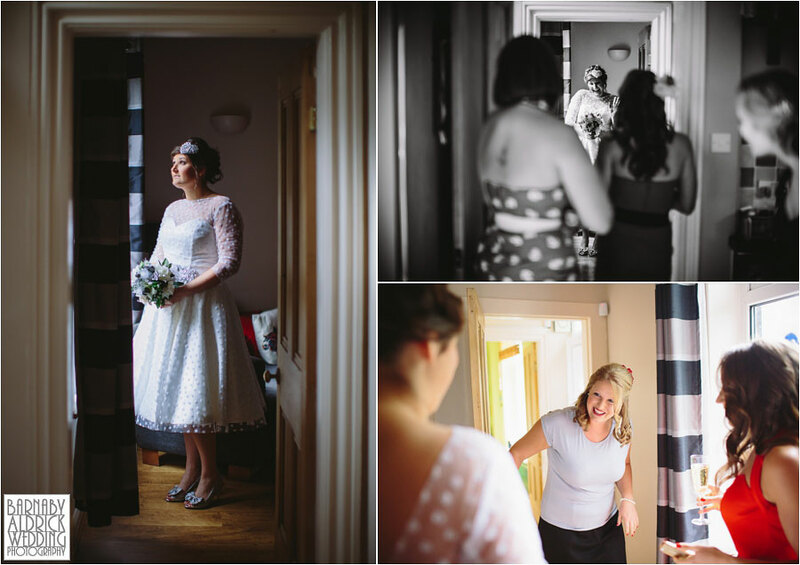 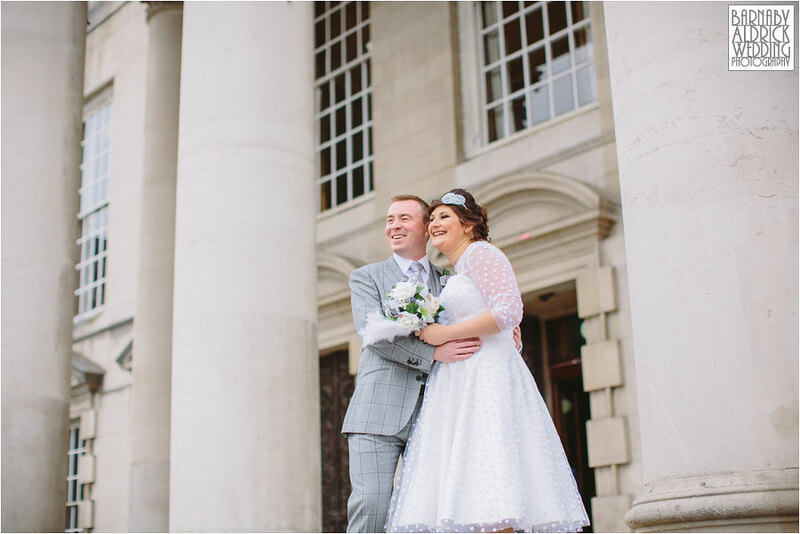 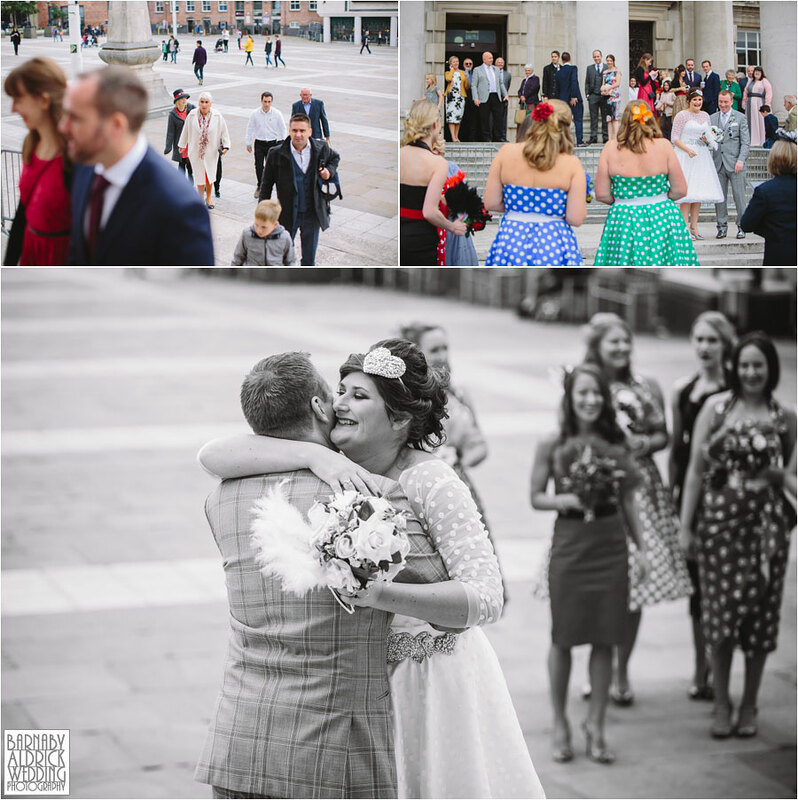 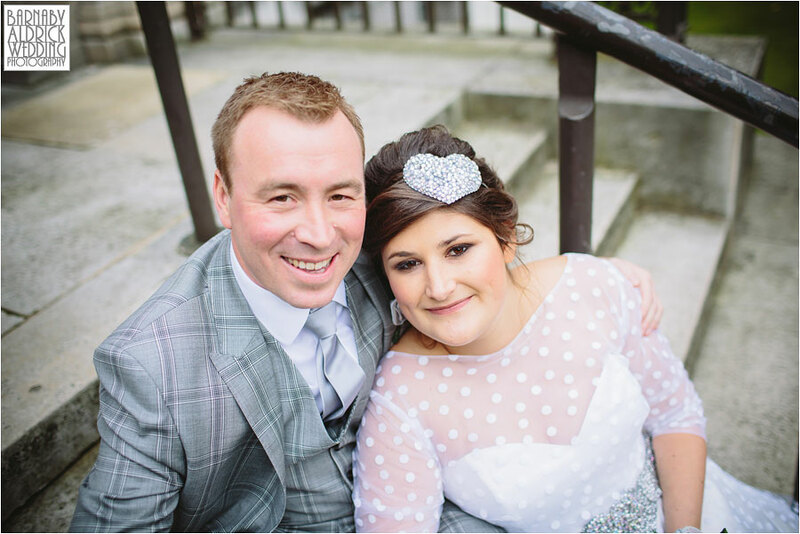 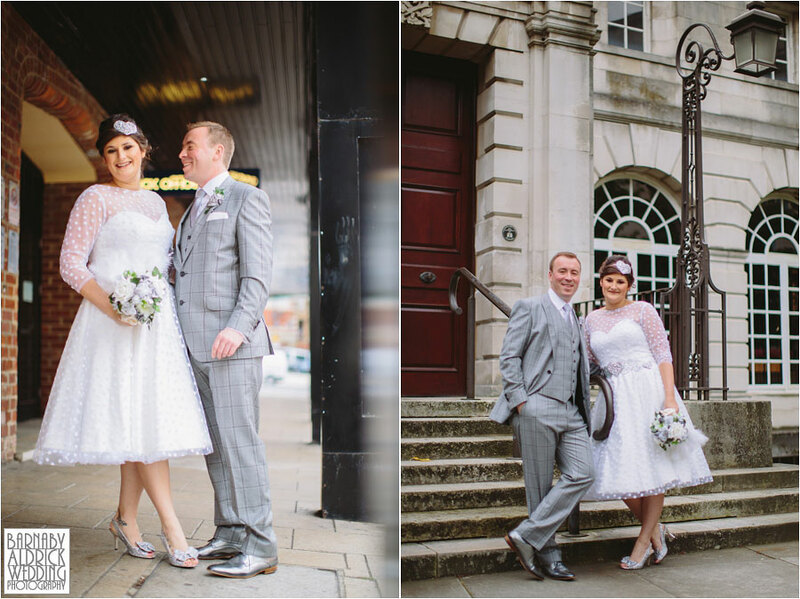 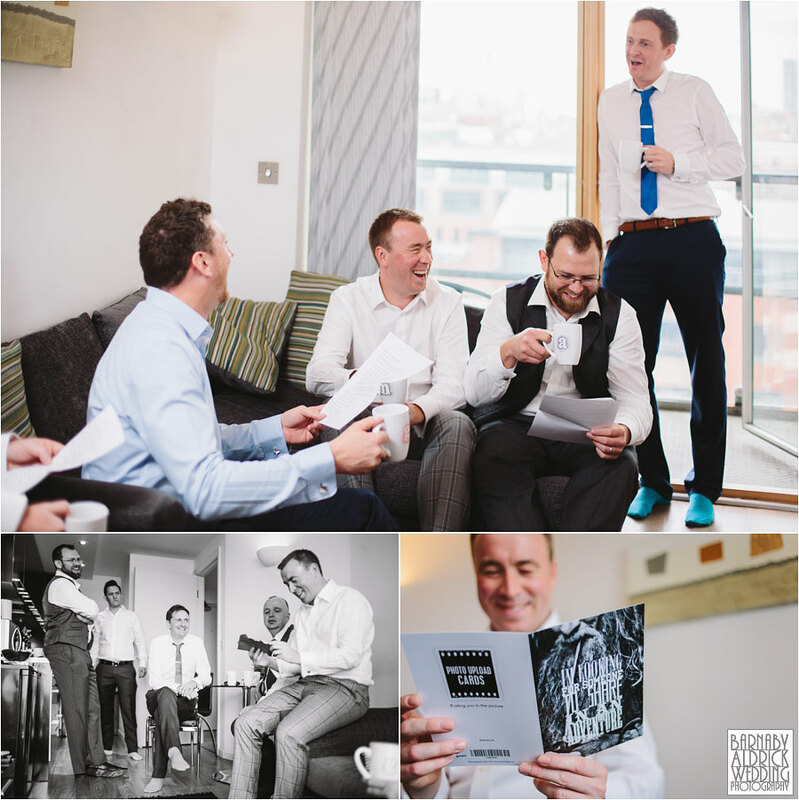 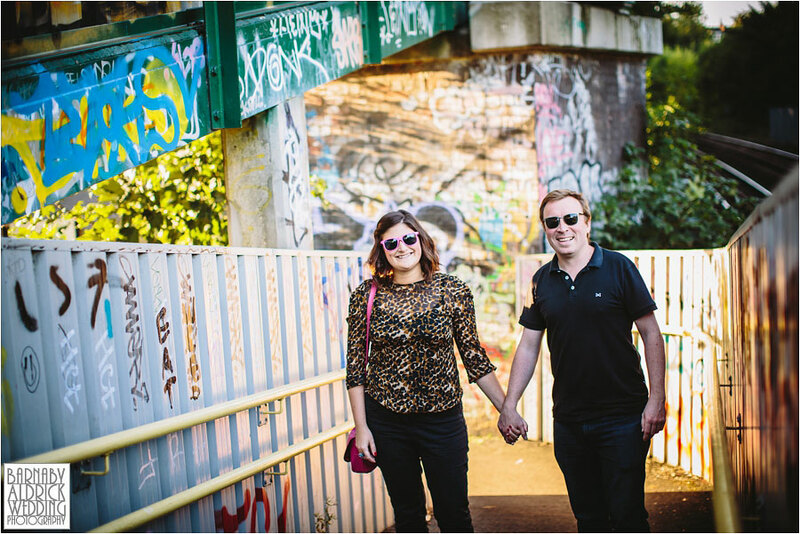 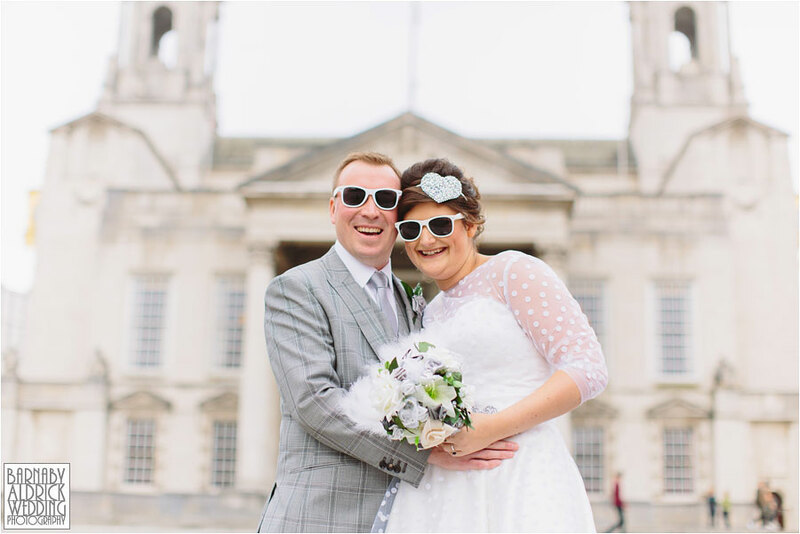 As Jen + Matt were always planning on eschewing traditions and having drinks together with their pals before the ceremony, I loved that they were more than happy to do a quick round of portraits around Millennium Square & the Civic Quarter before the ceremony! 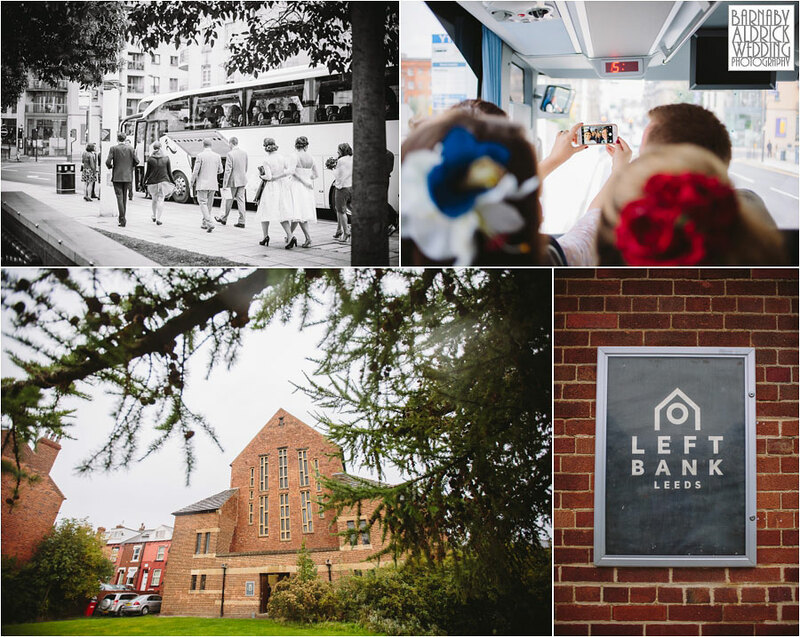 This meant after quick bomb of confetti and a few family shots, everyone dived on a bus over to LeftBank and the whole wedding reception was spent mingling & partying (and eating some amazing looking canapes)! 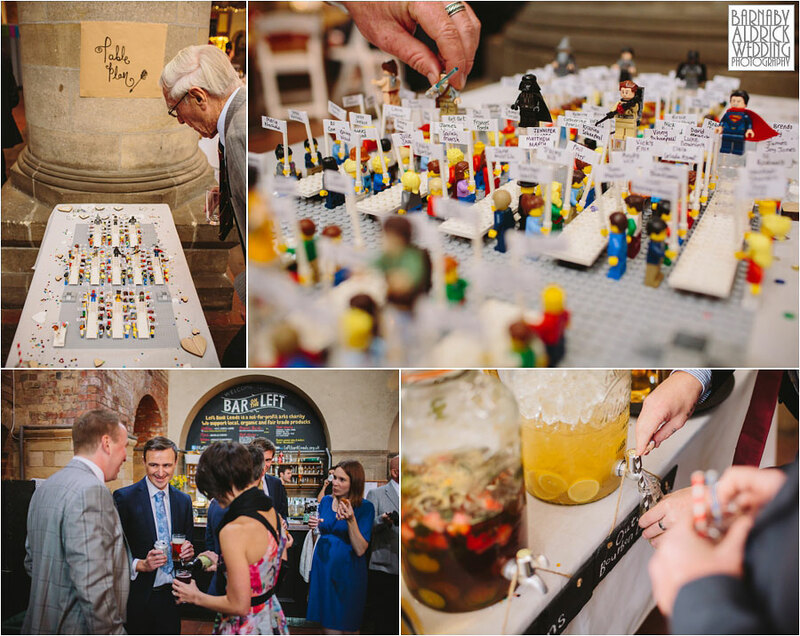 Exactly the way a wedding should be! 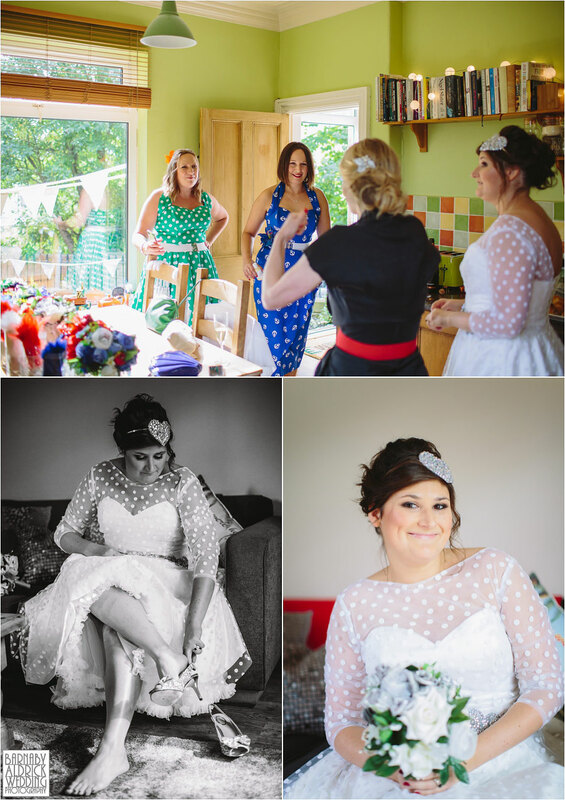 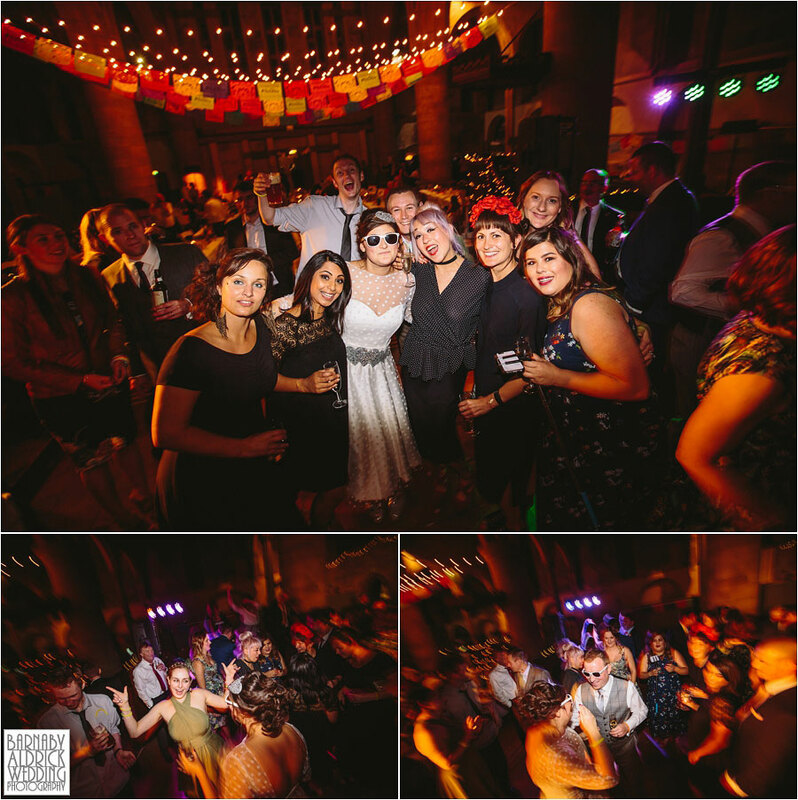 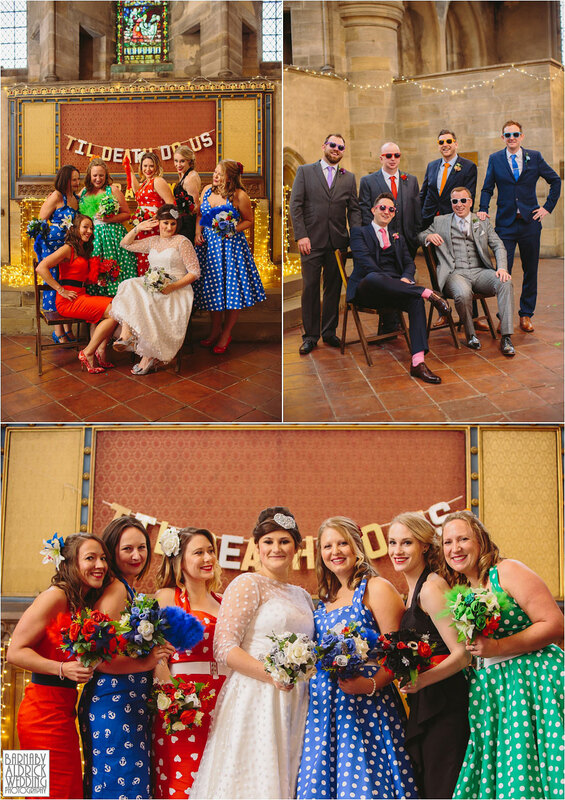 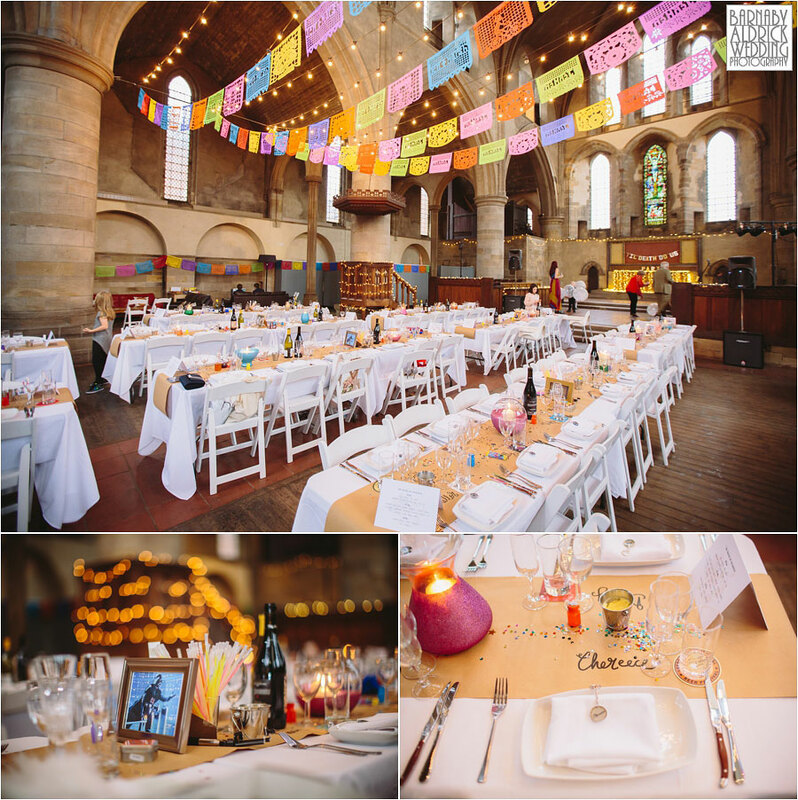 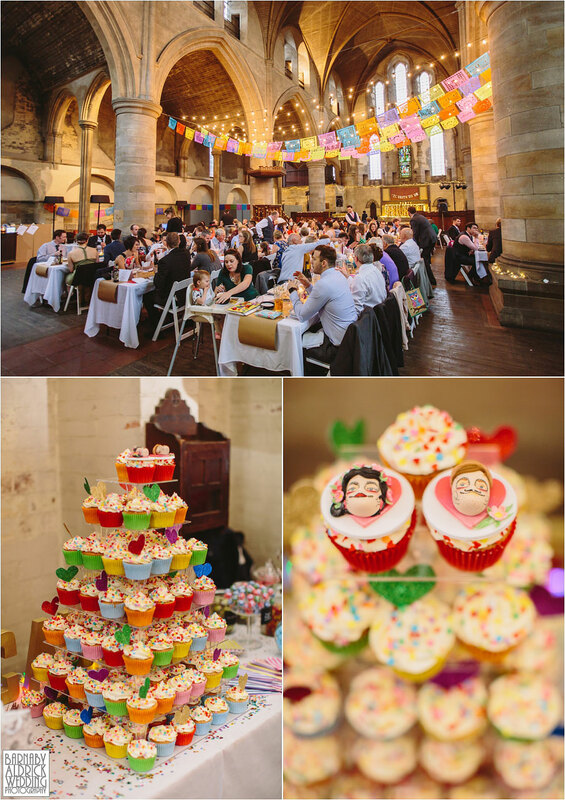 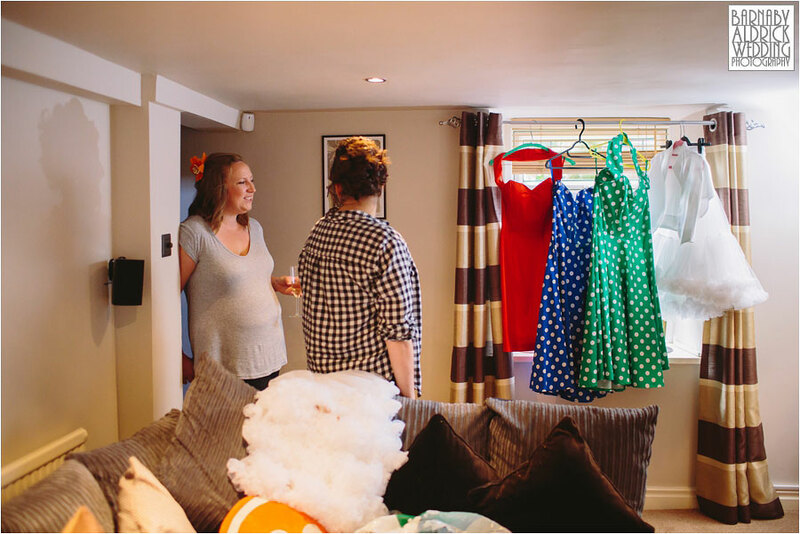 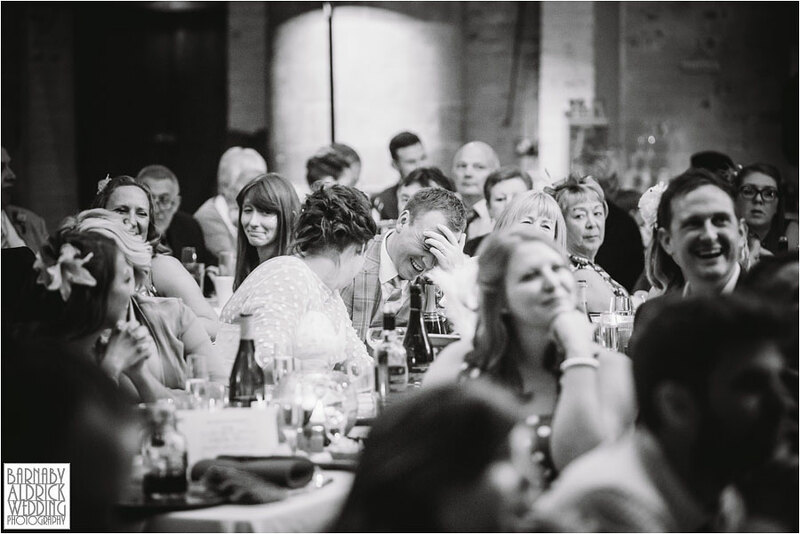 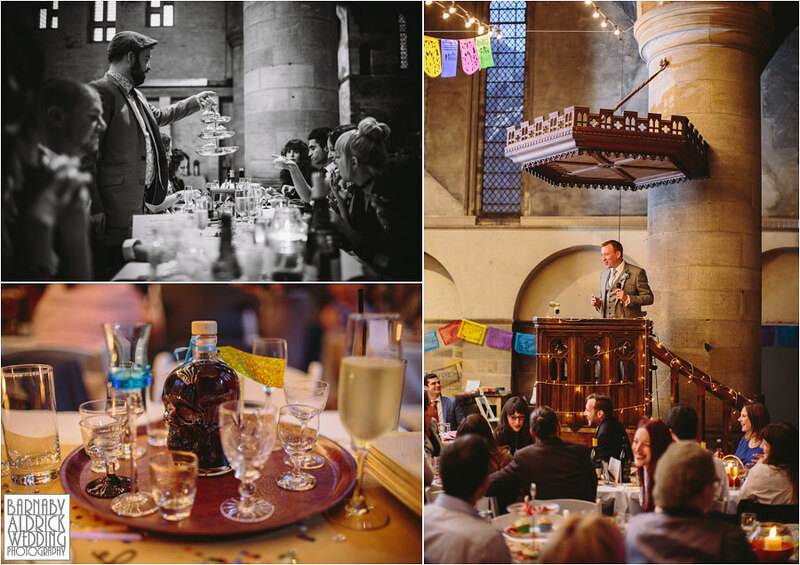 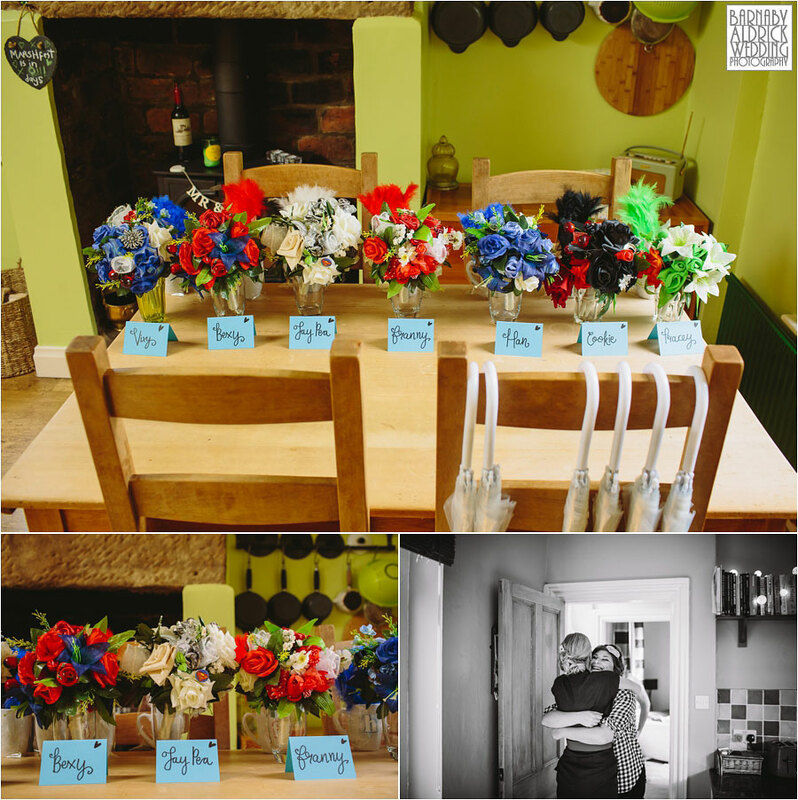 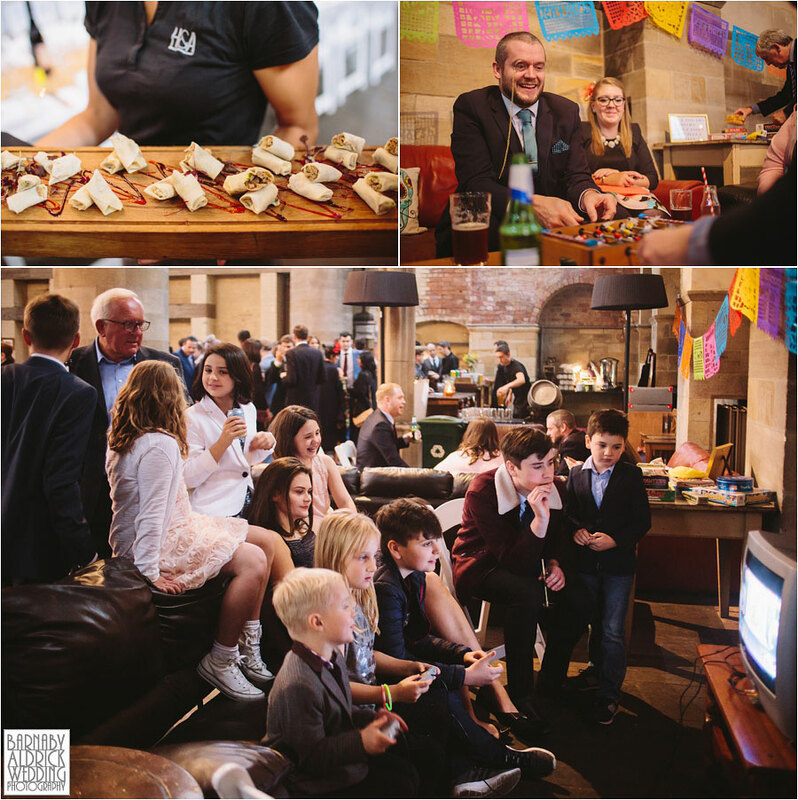 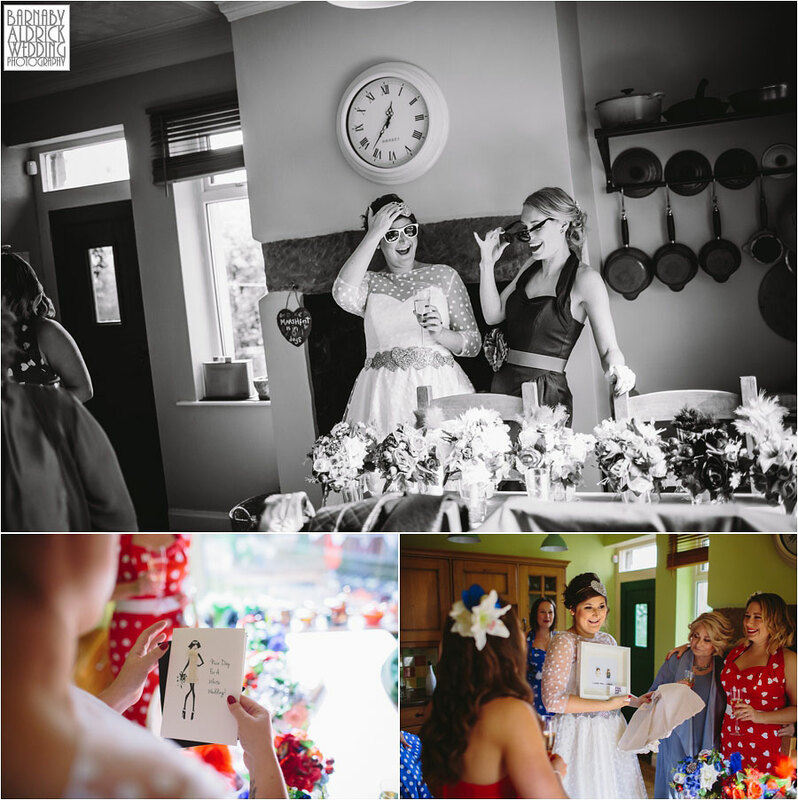 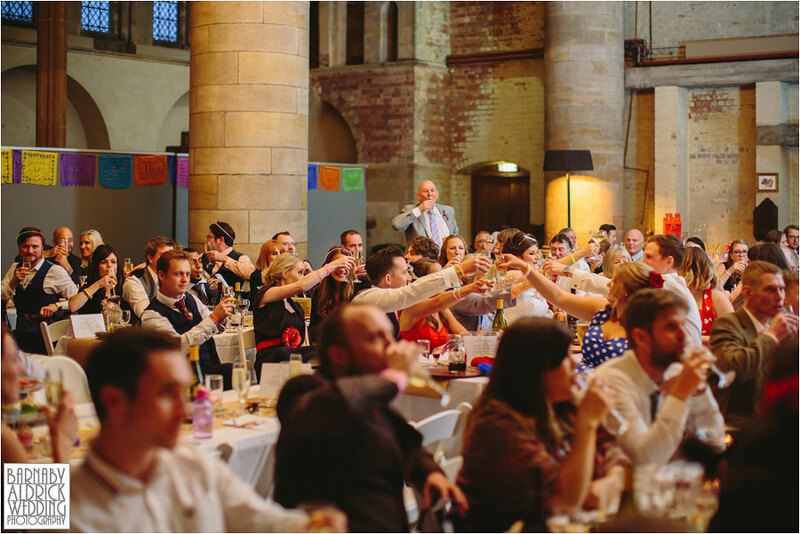 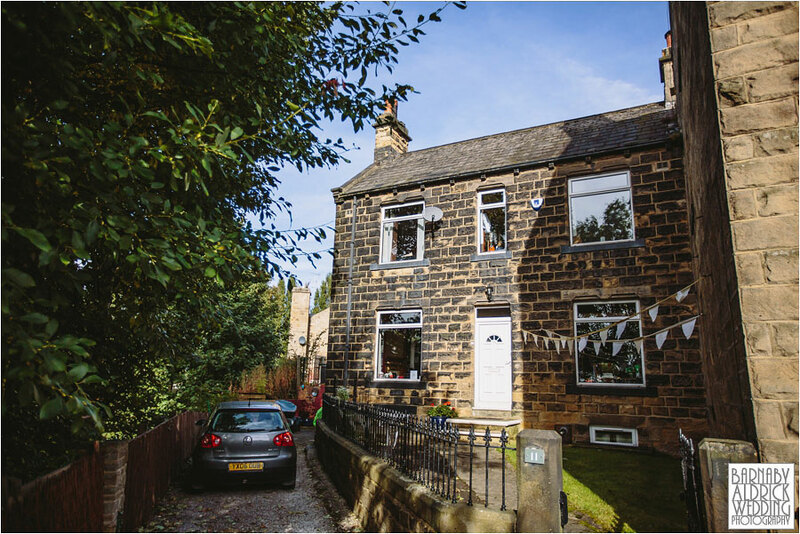 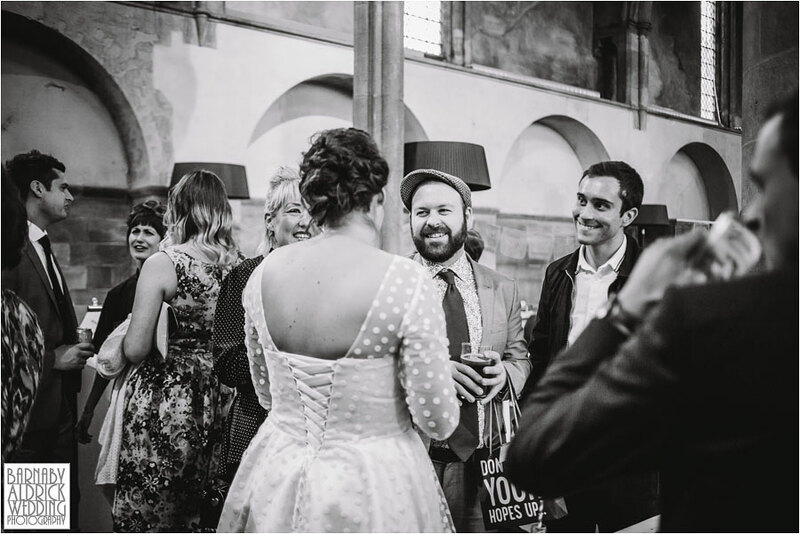 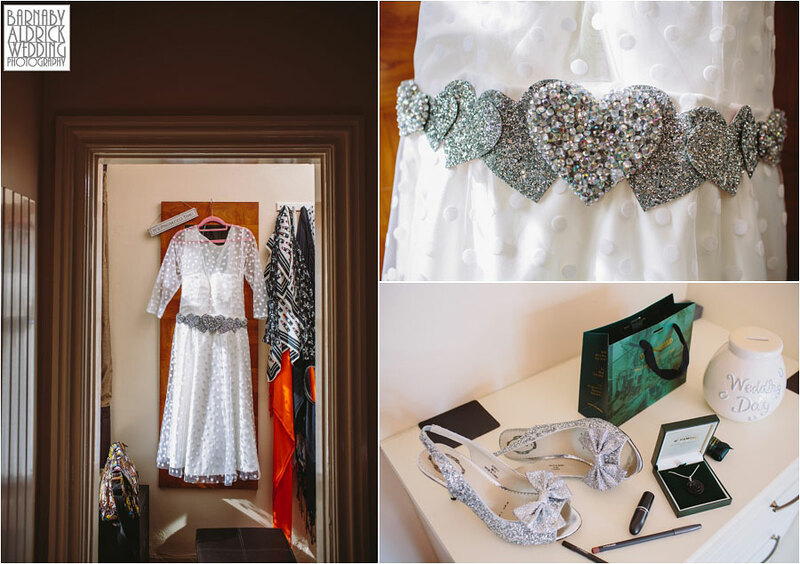 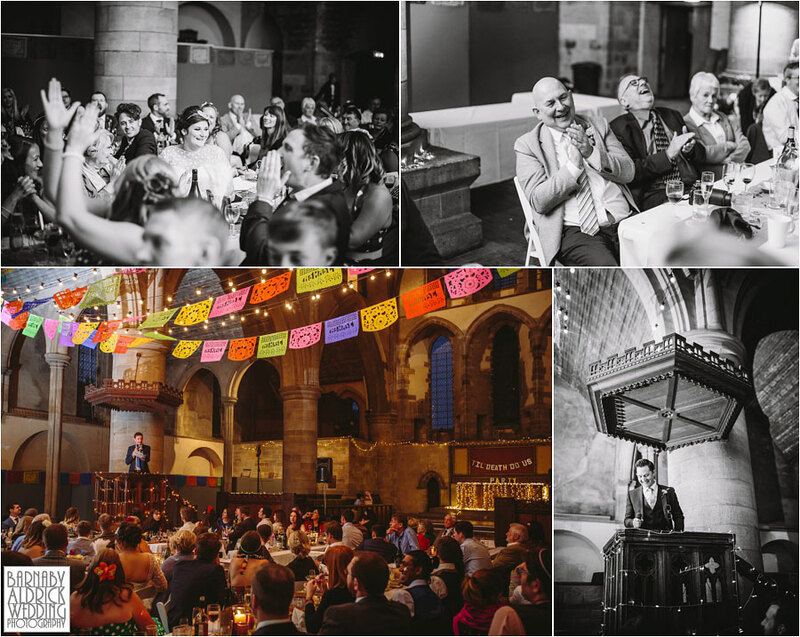 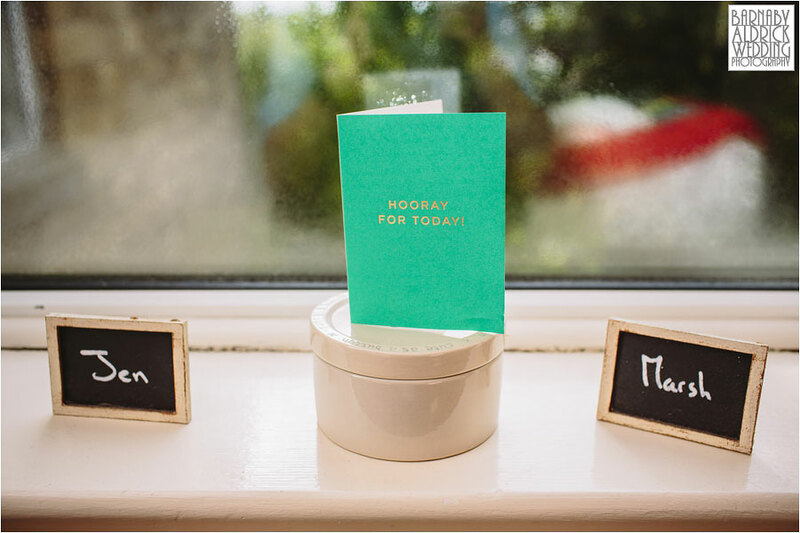 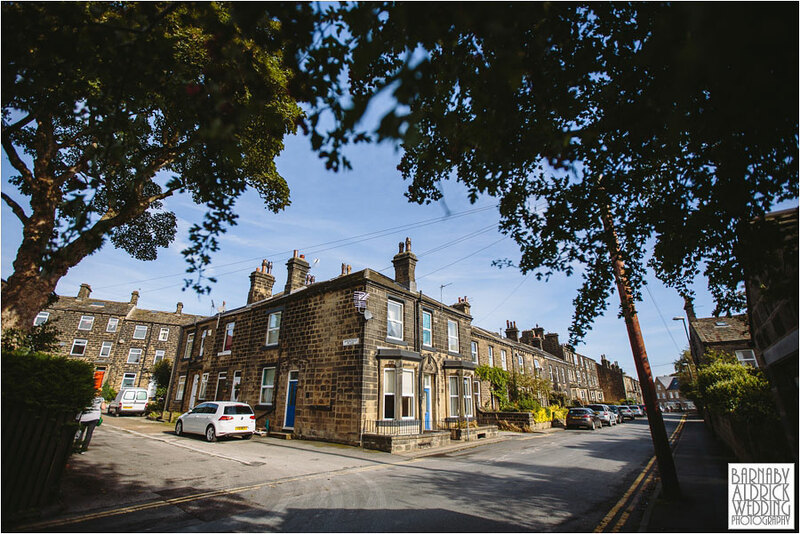 Another fab thing about this wedding were the details; the majority of which had been made by the arty & capable hands of Jen, who’d made filled the enormous arts space of LeftBank with a Mexican party vibe of bunting, a lego table plan. 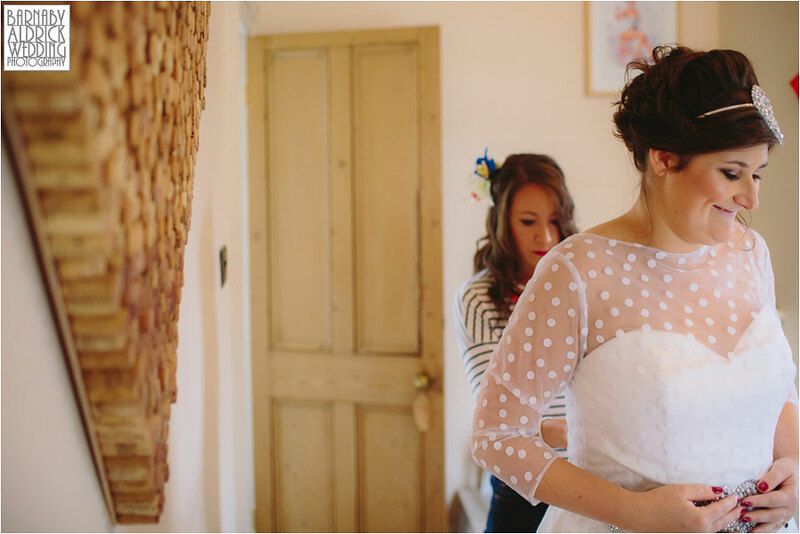 It was great to also so yet another incredible cake by Laura Cook who’s wedding I’d papped 4 years ago! 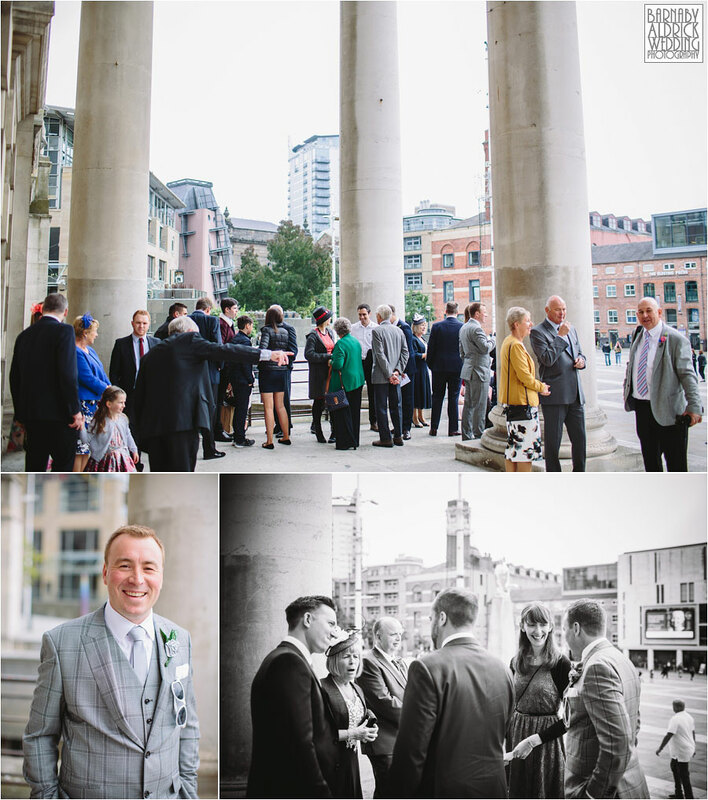 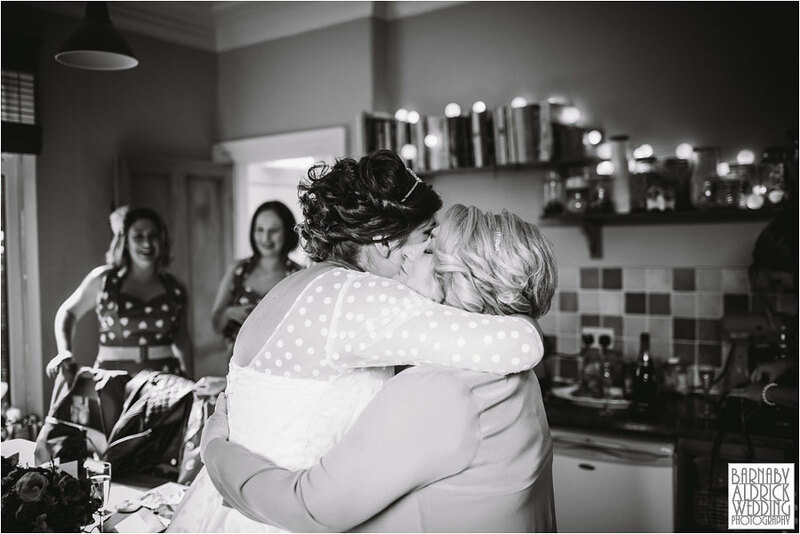 I was lucky enough to photograph the first wedding ever held in LeftBank back in 2004 (I think!) 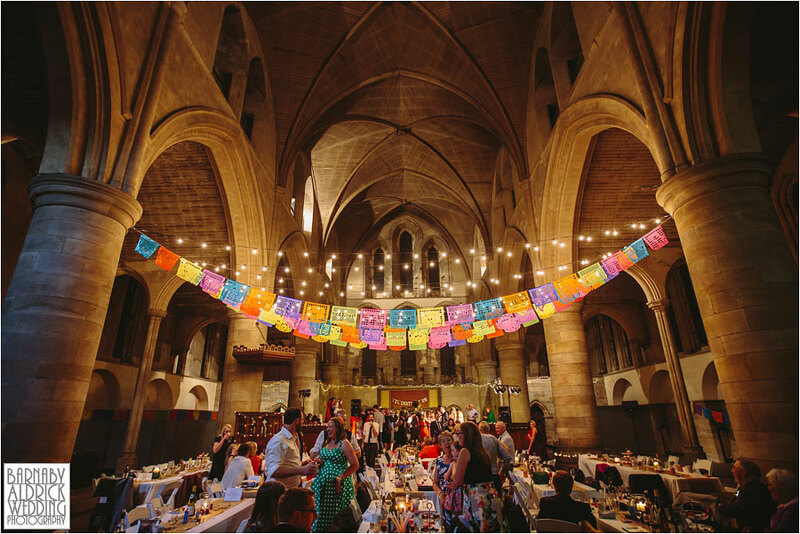 and saw it’s conversion from a derelic chuch into what’s become an amazing community & arts space. 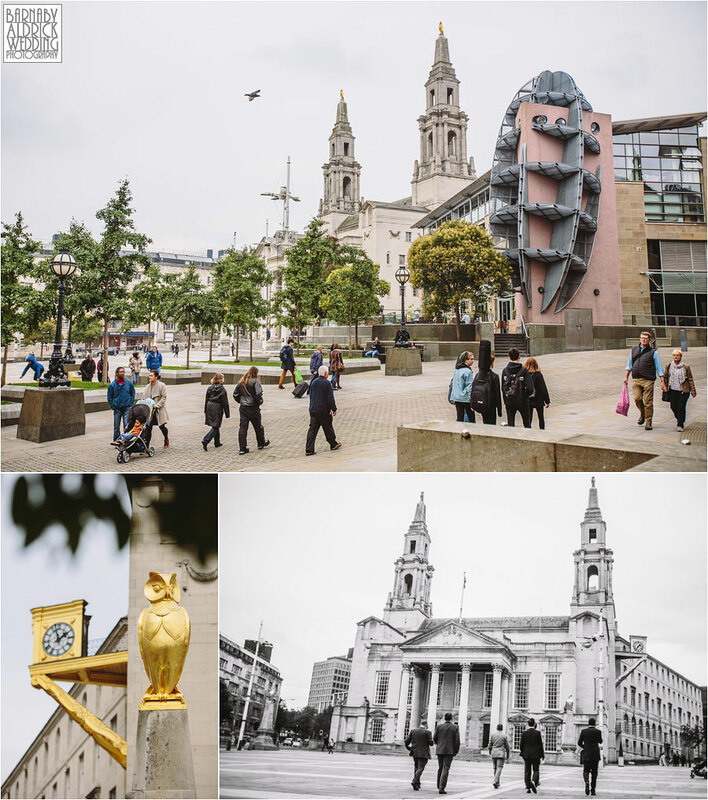 I was only there last week watching a Wim Wenders arthouse movie too. 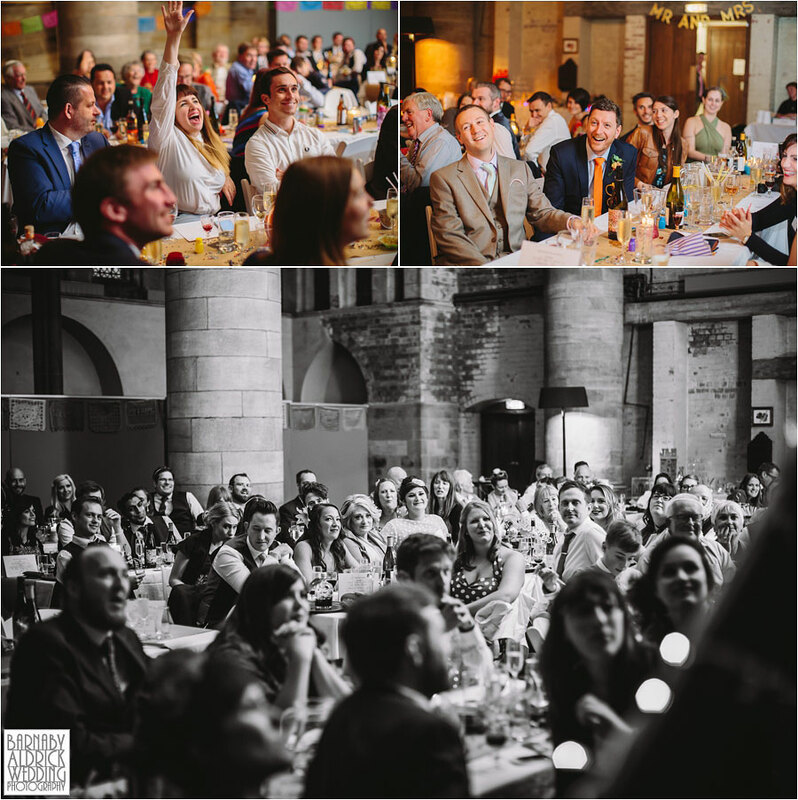 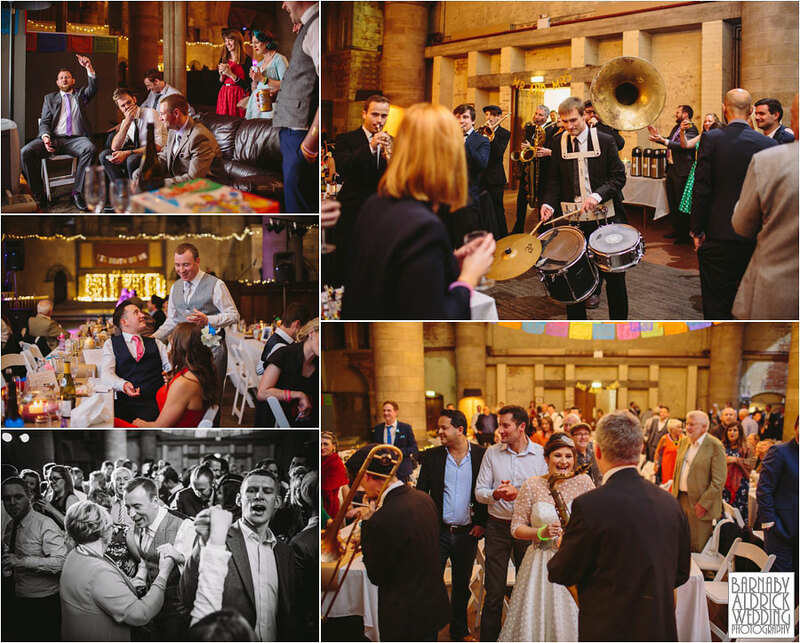 It’s such a fab space in which to celebrate, and after speeches were wrapped up (from the pulpit no less) and grown ups had spent some time battling it out at Street Fighter on the SNES, none other than the New York Brass Band turned up to ska the night away! 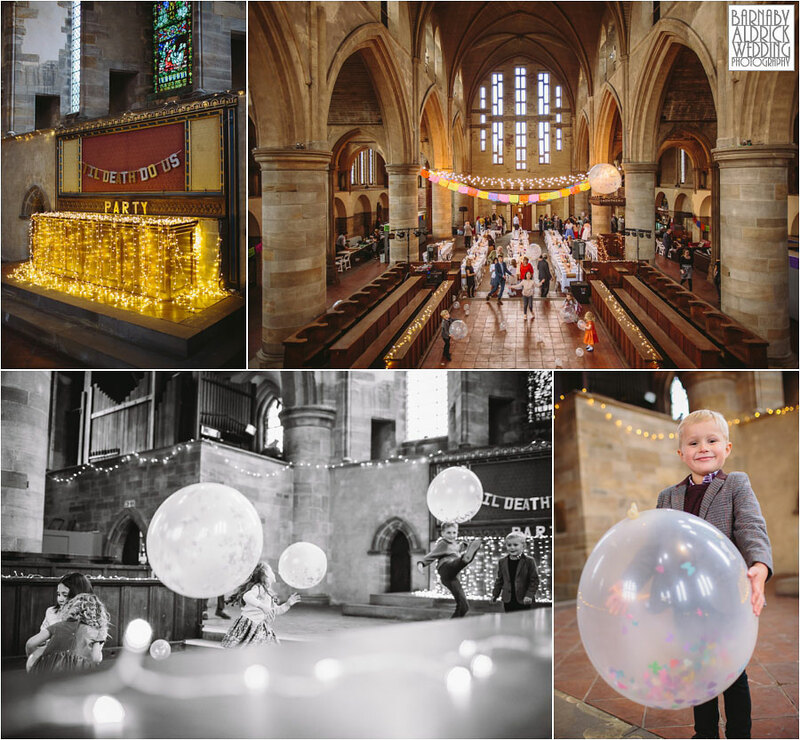 Fantastic fun hey! 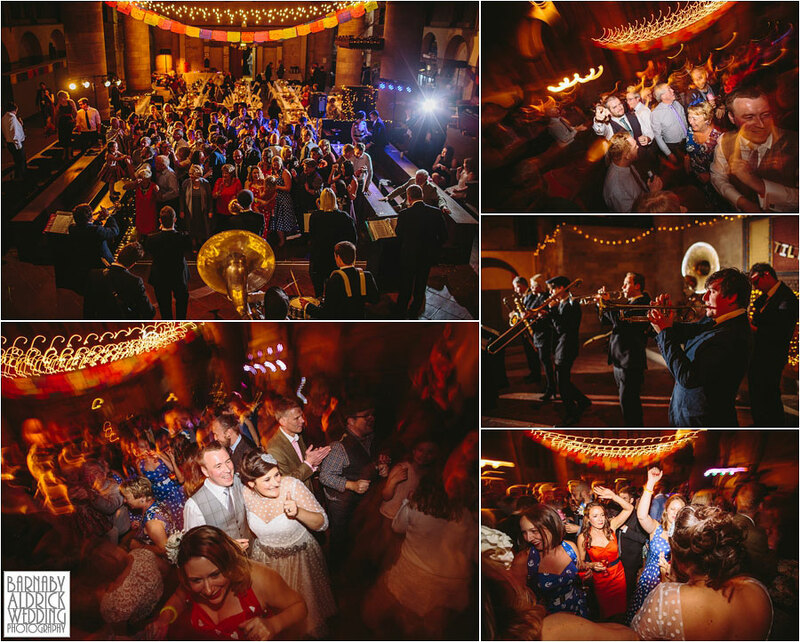 What a great crowd and riot of colour and fun! 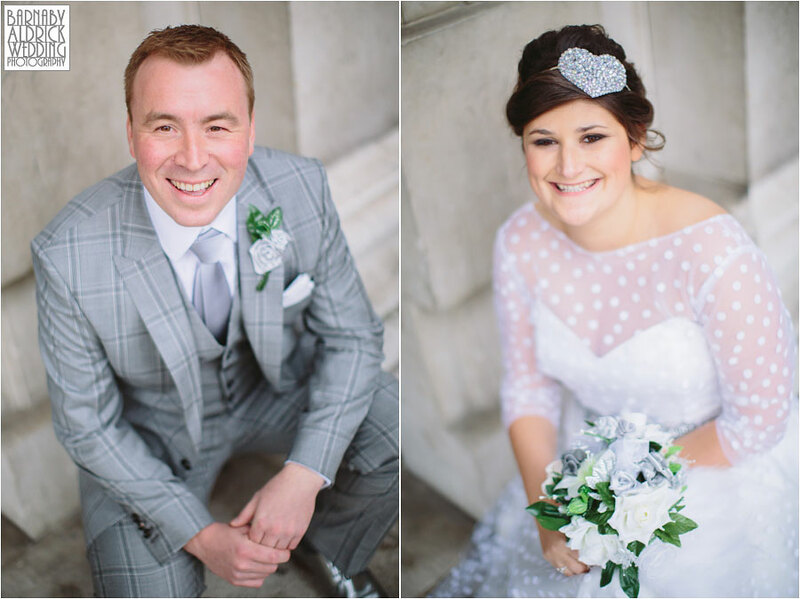 Here’s wishing Jen + Matt massive congratulations indeed, and a fabulous life together as man & wife!